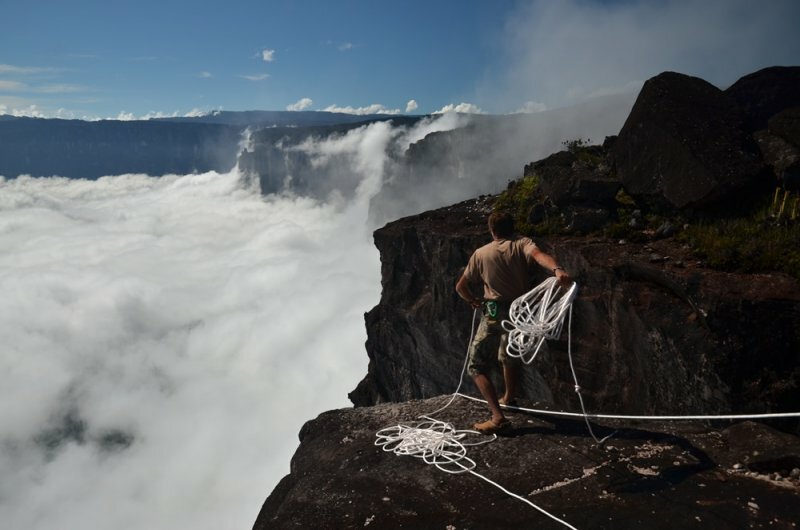 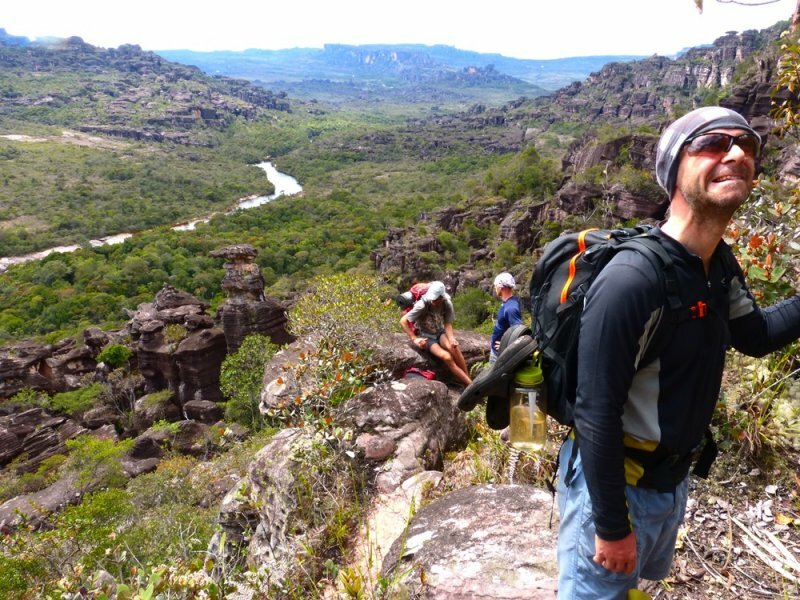 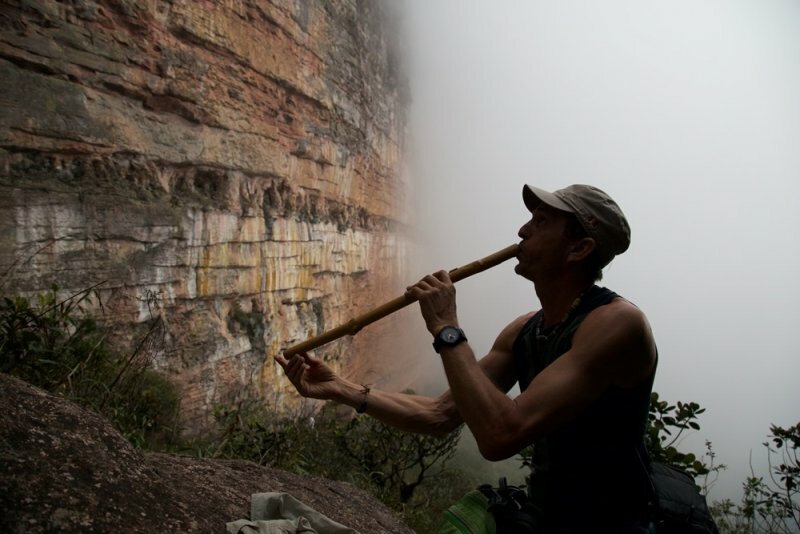 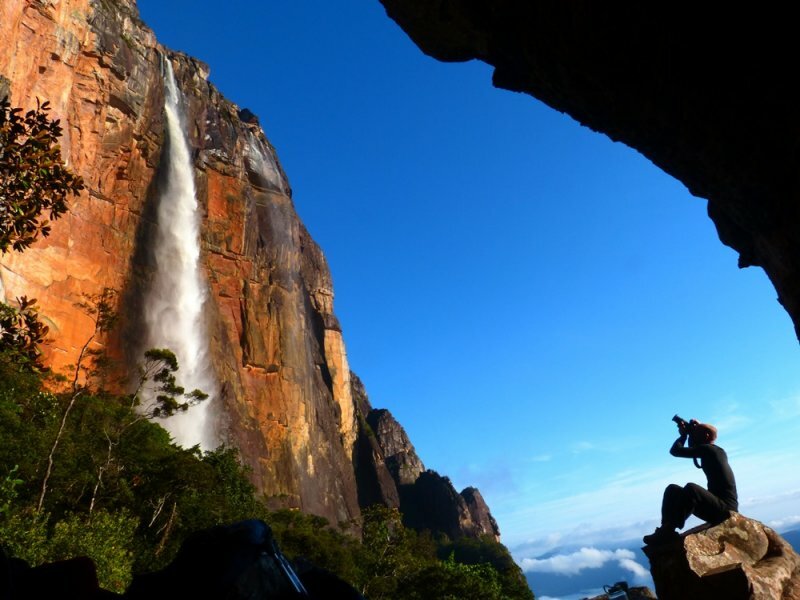 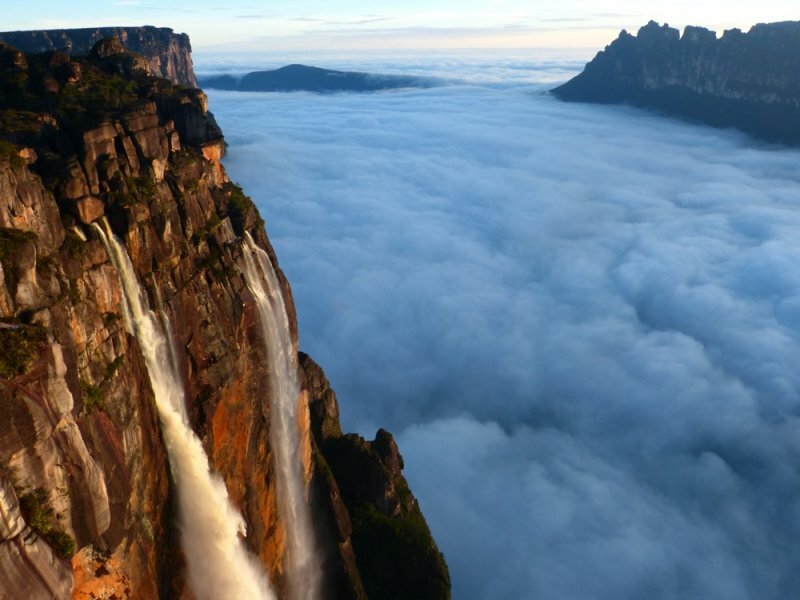 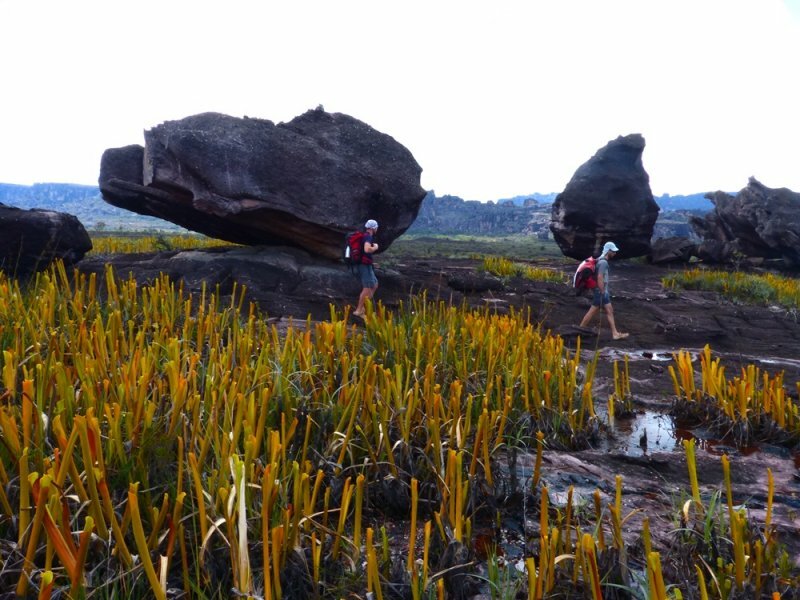 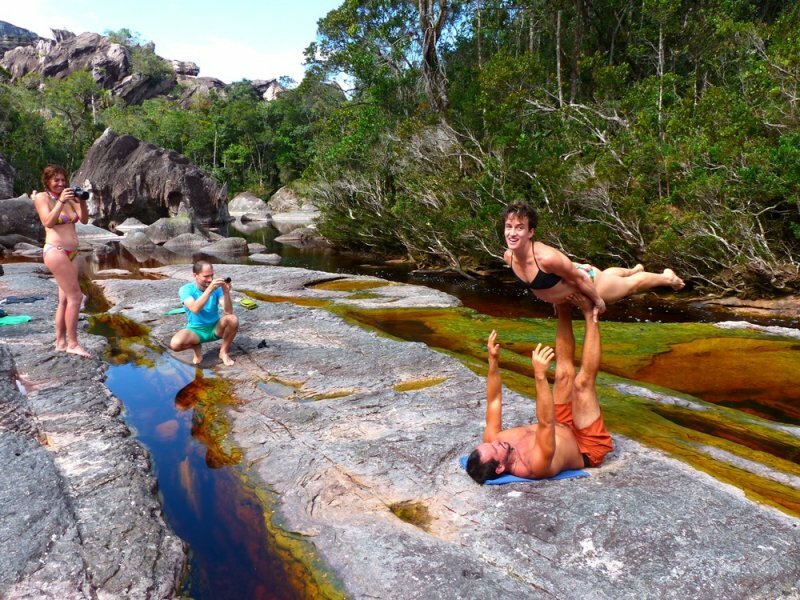 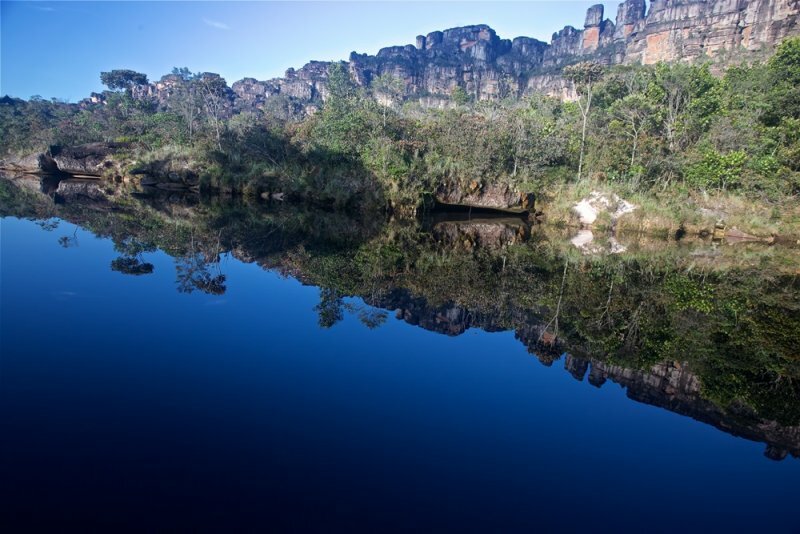 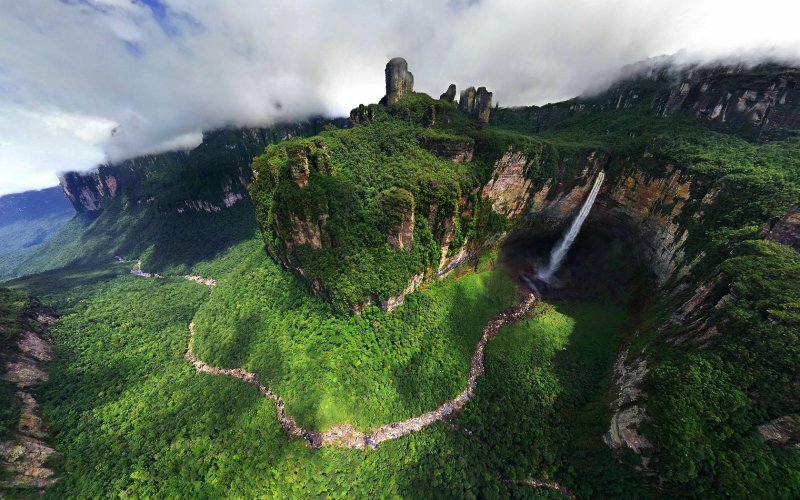 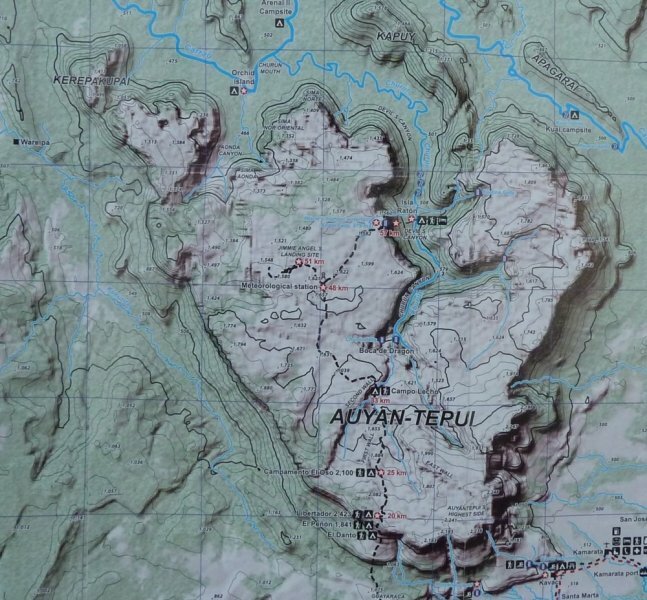 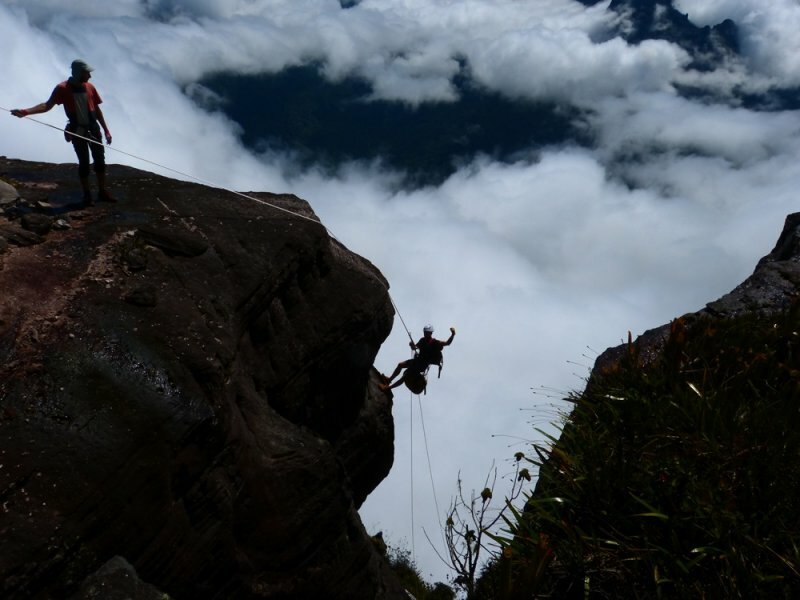 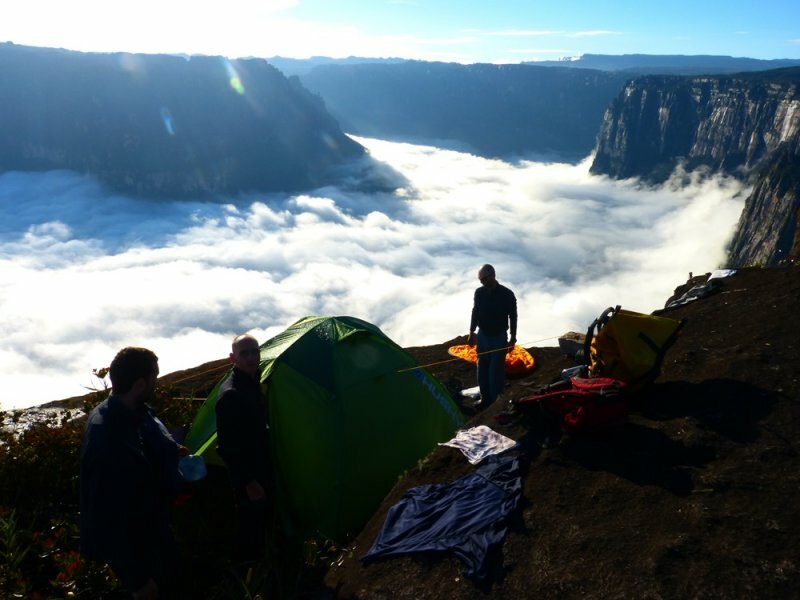 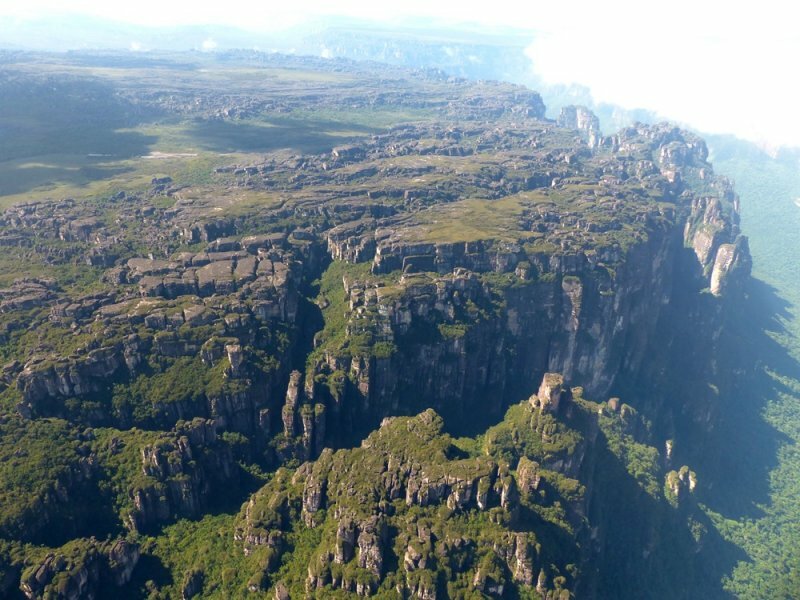 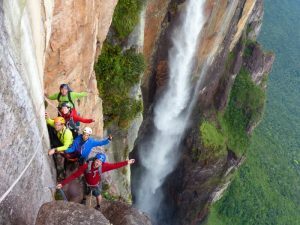 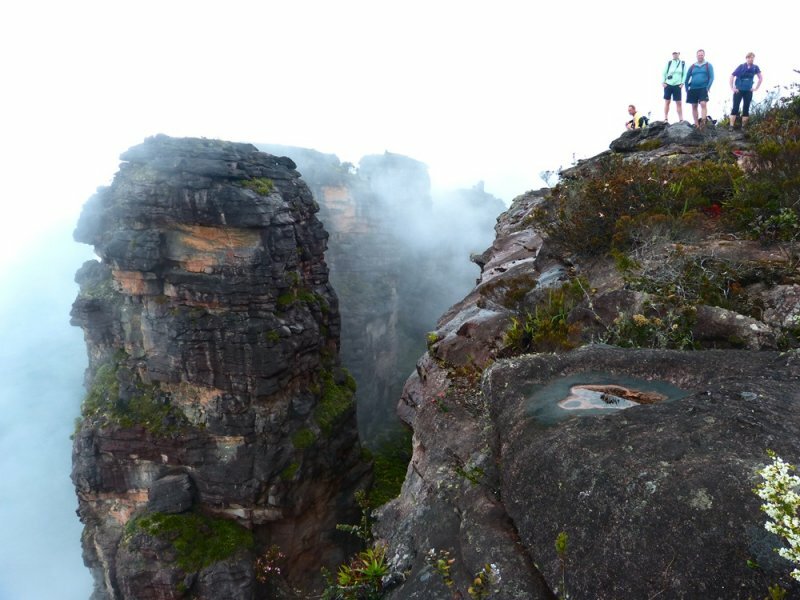 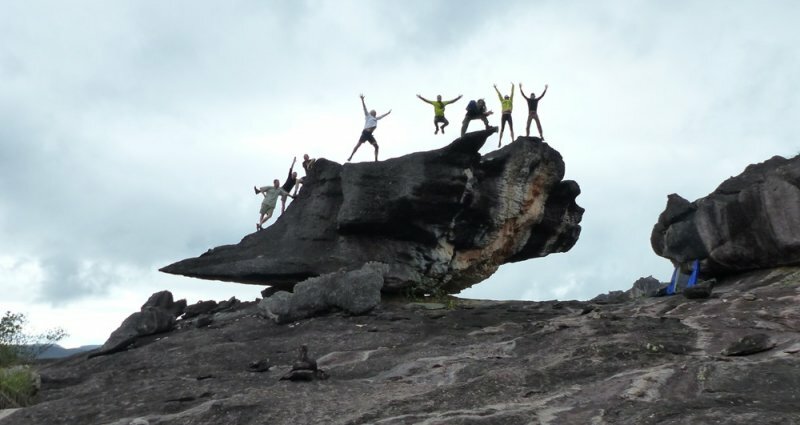 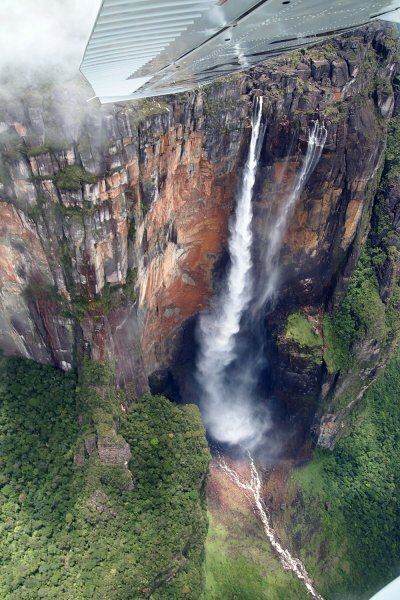 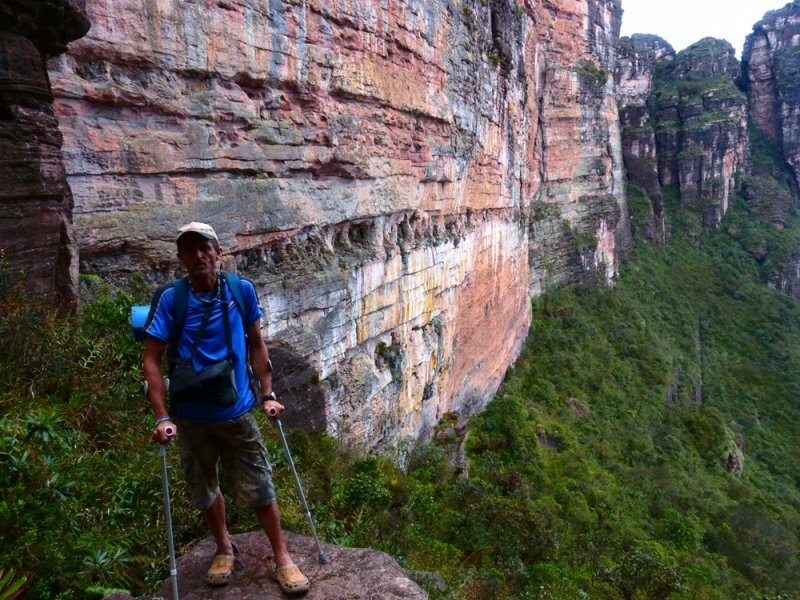 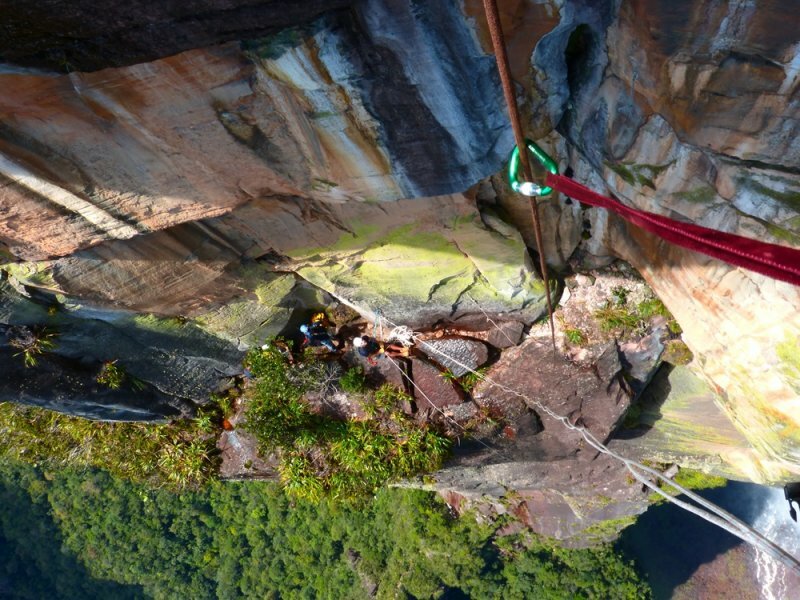 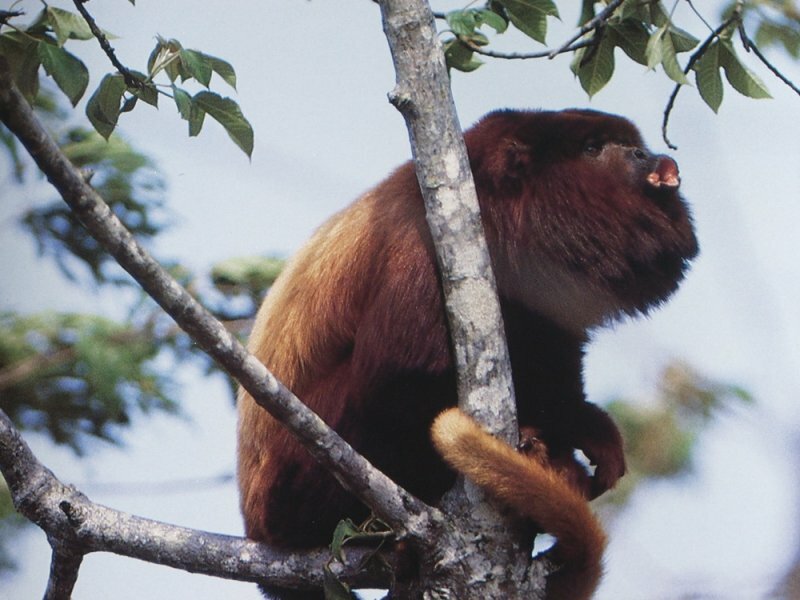 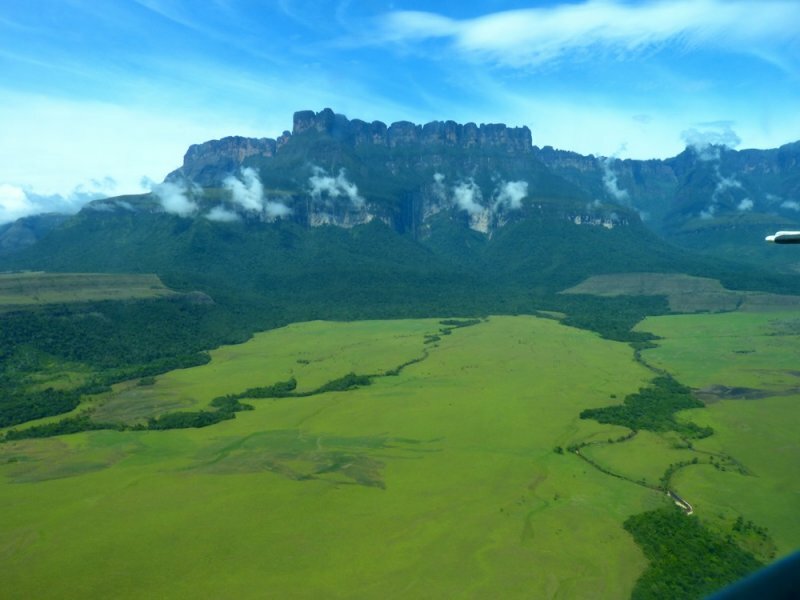 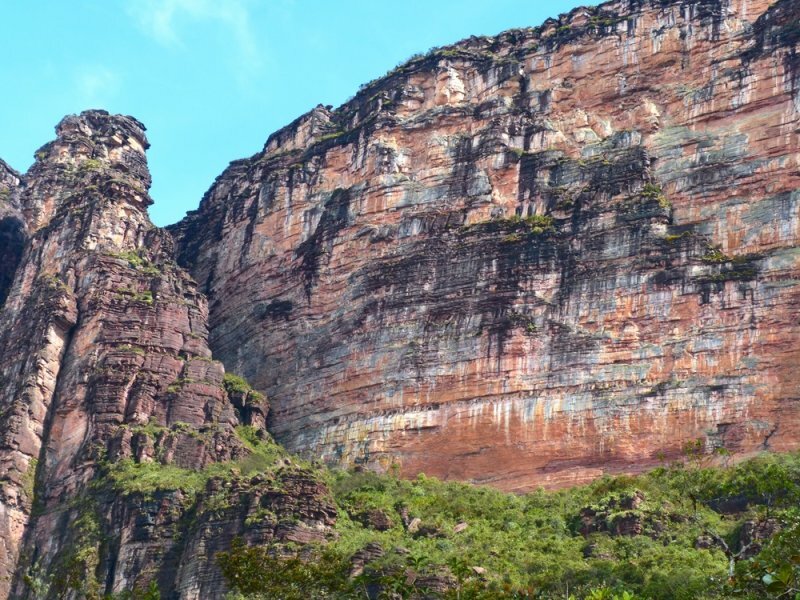 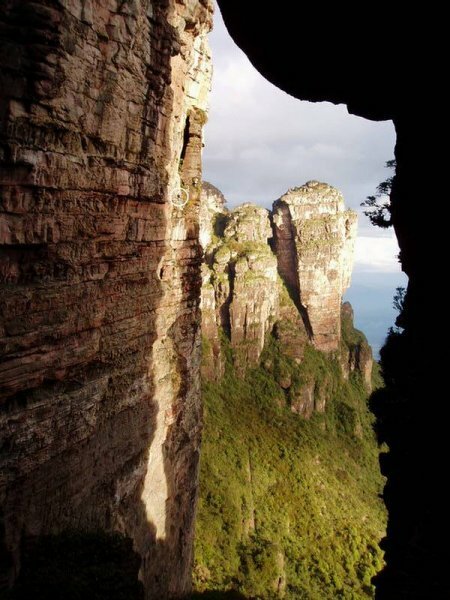 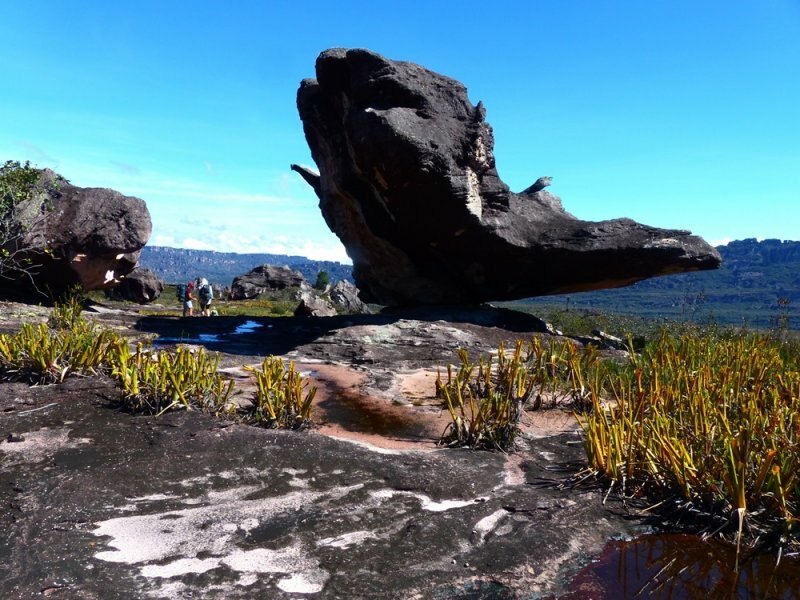 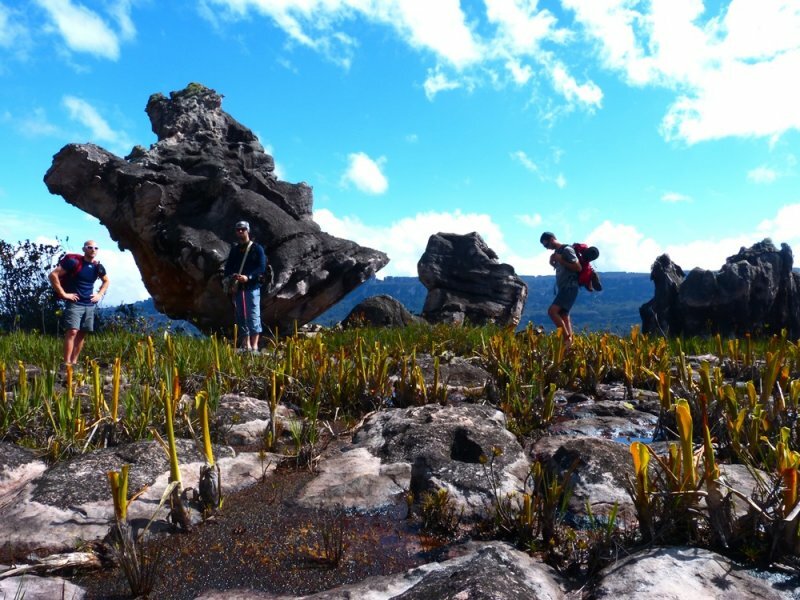 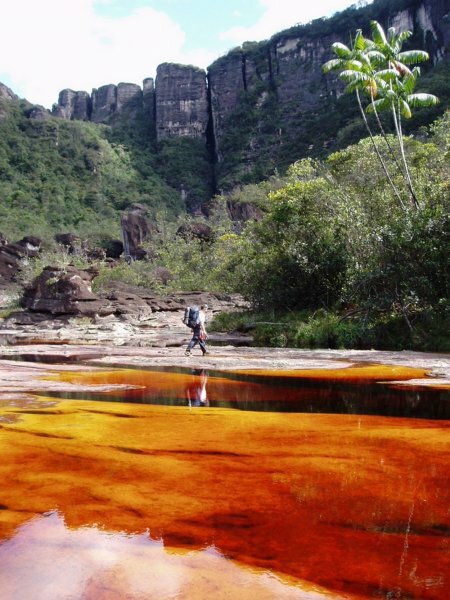 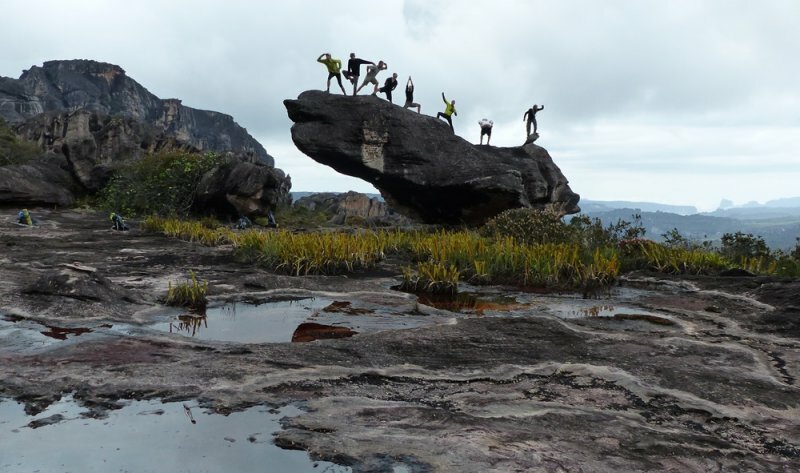 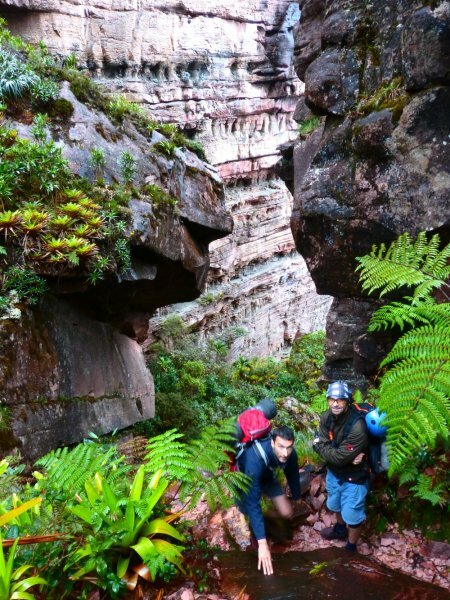 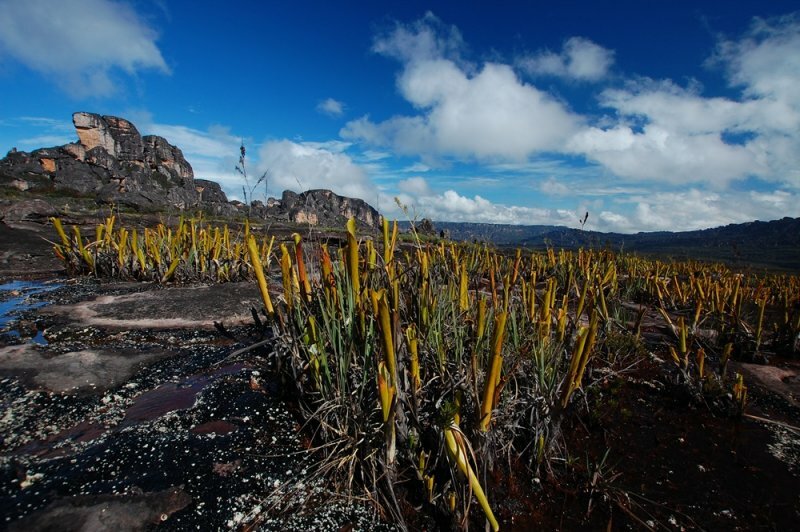 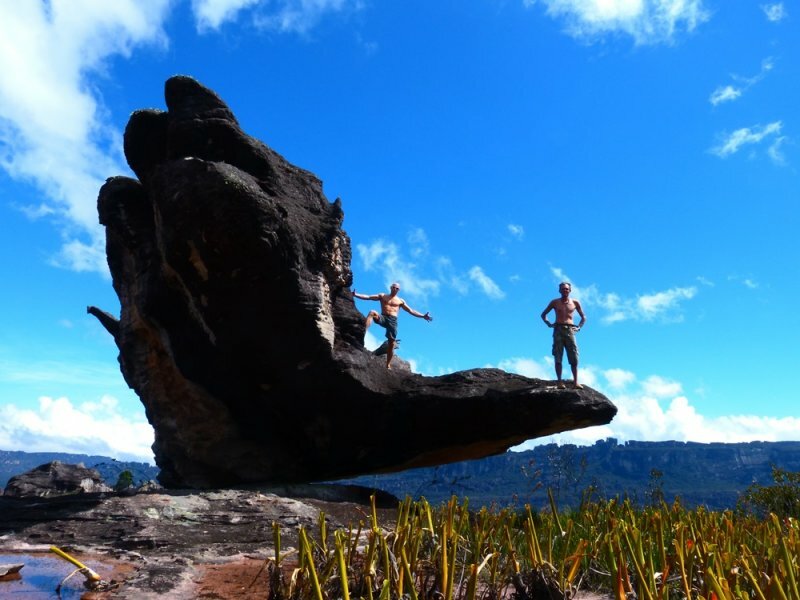 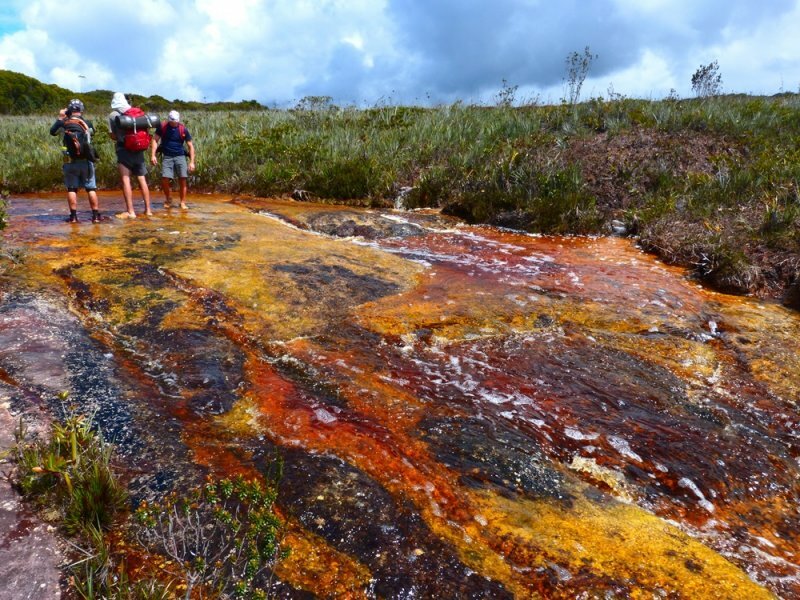 This trip includes complete crossing of the Auyan Tepui Table Mountain. 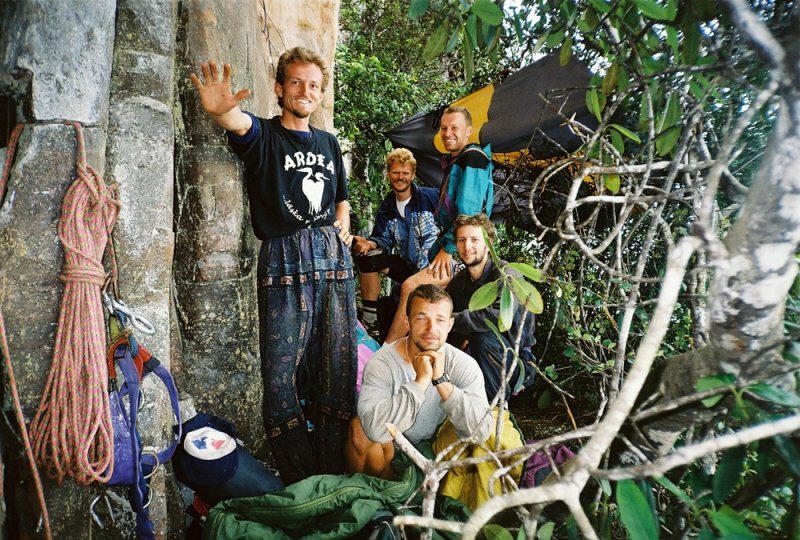 In the year of 1997 it was done for the first time by an expedition of 5 Slovak friends guided exactly by Peter Becko Ondrejovic. 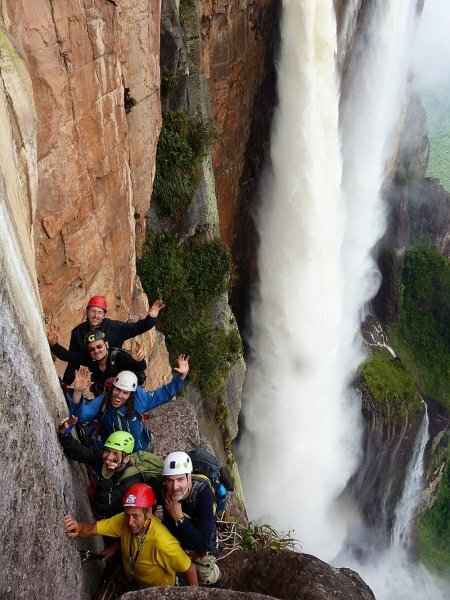 Only later on also local Venezuelan guides started to organize this trip and made it quite popular. 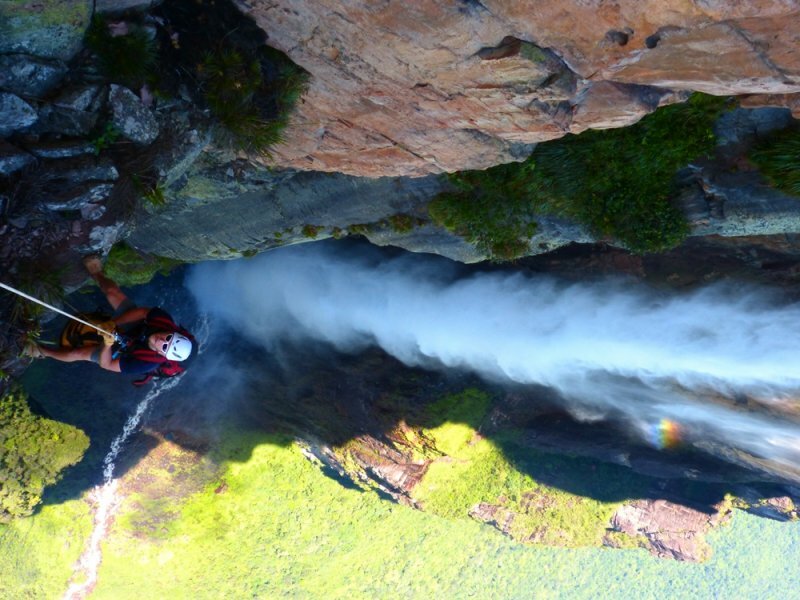 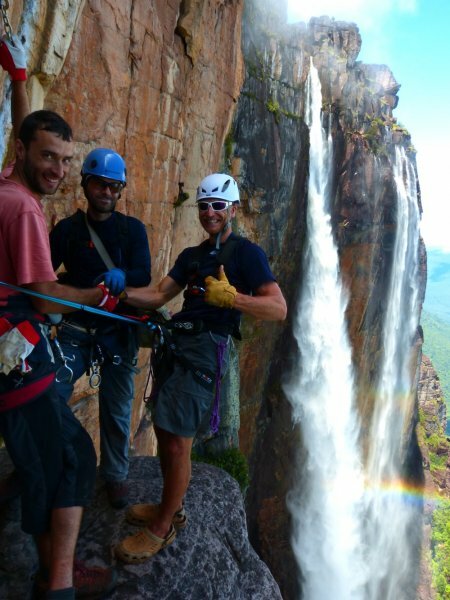 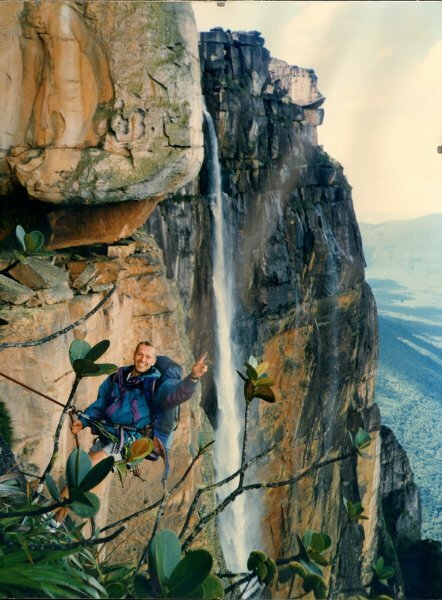 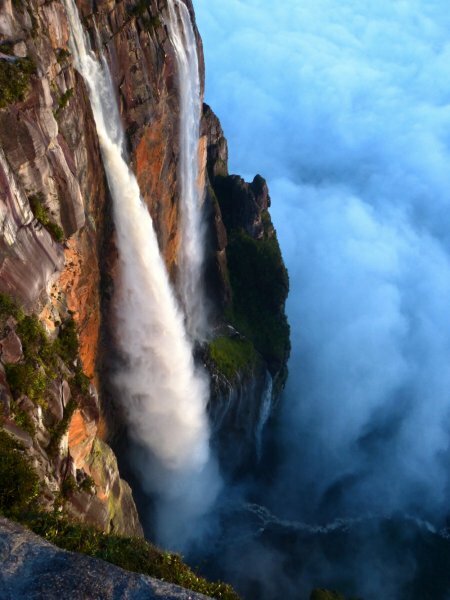 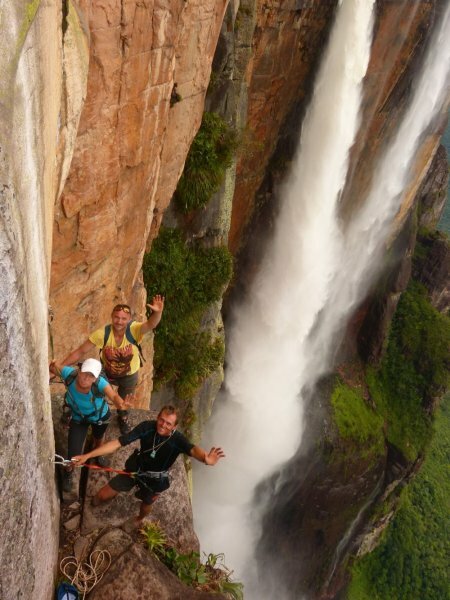 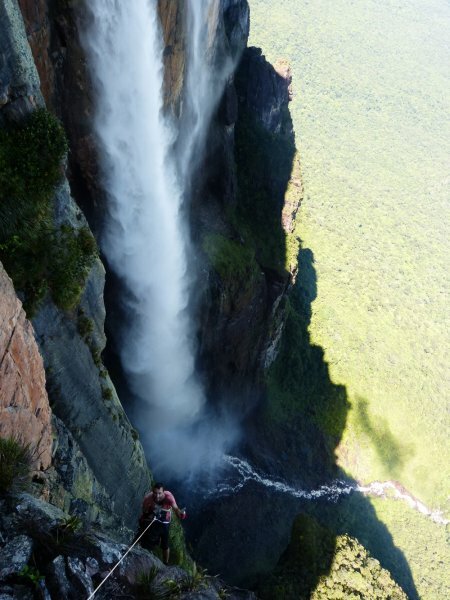 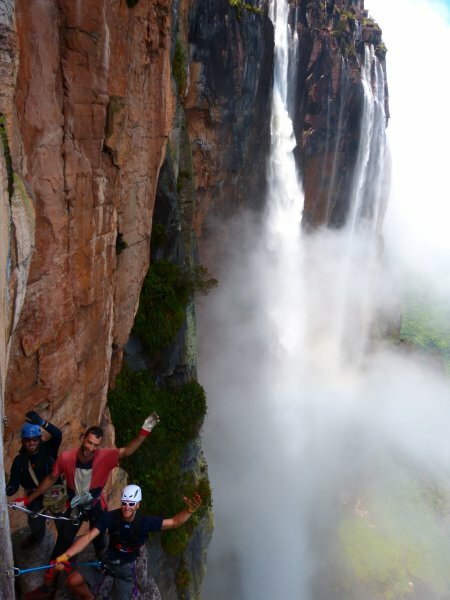 Crossing of the Table Mountain and climbing down the rope the Salto Angel waterfall became an outdoor hit all around the world. 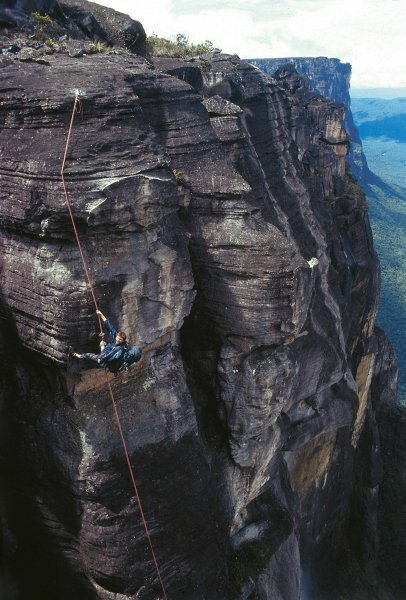 Nowadays is the descent secured by modern climbing secure equipment. 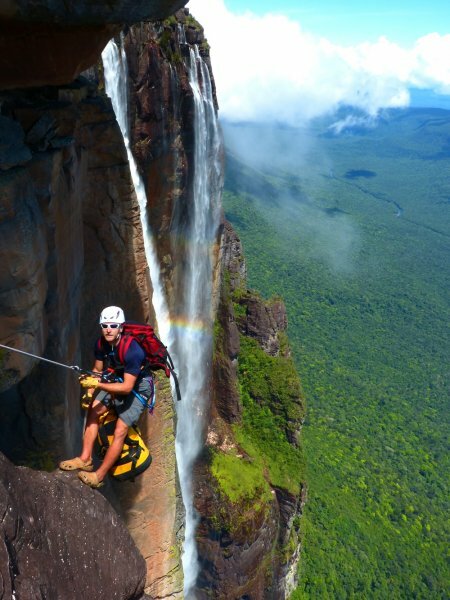 Time: based on an agreement with the guide, usually as from October up to February of next year. 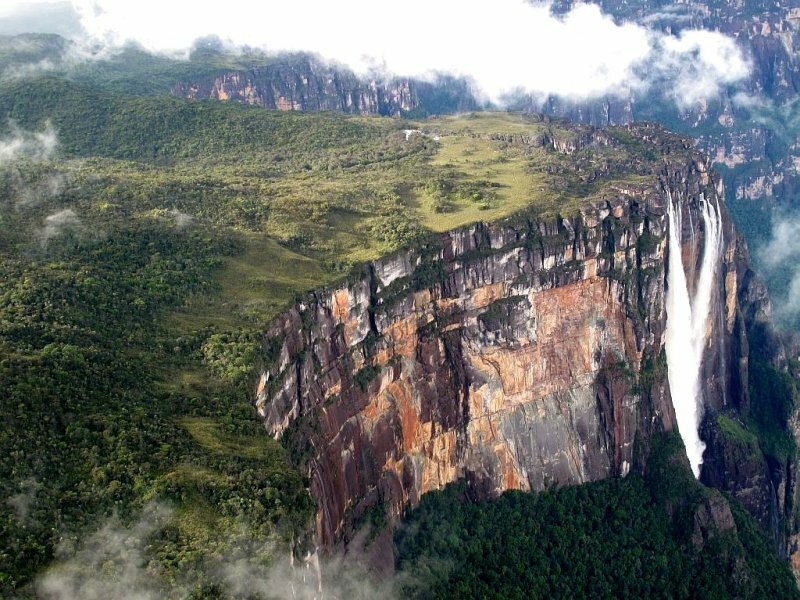 Price: 2.500 € + flight ticket to Venezuela (intercontinental flight from Europe is approximately 1.000 €). 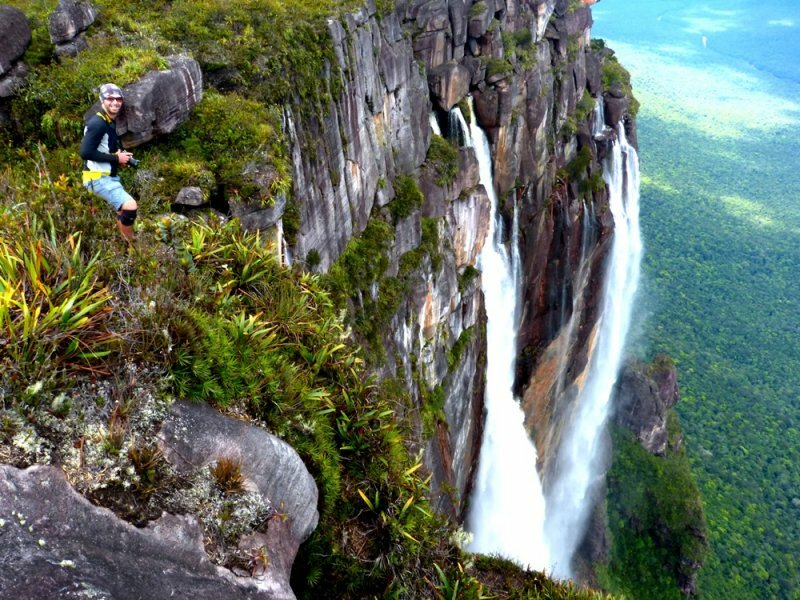 The price does include: guiding services, first day in The Caribbean (all-inclusive), domestic transport (mainly by buses including 4 domestic flights), porters up to the edge of Salto Angel waterfall, pick-up under the Salto Angel, program in Canaima National Park, 3 days resting in Delta Orinoco and full board once out of the civilization (approximately 90% of the trip). 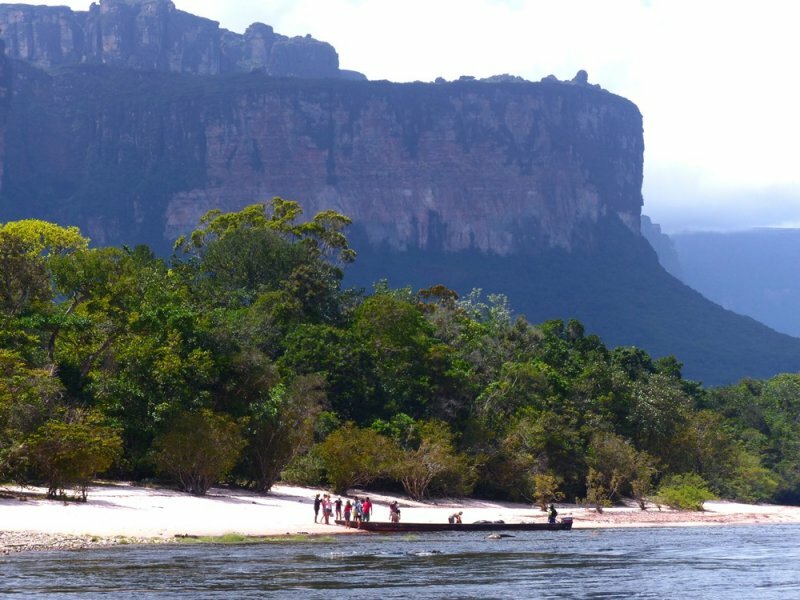 The price does NOT include: travel insurance, transport to the airport of your departure, tips for local Venezuelan guides and porters. 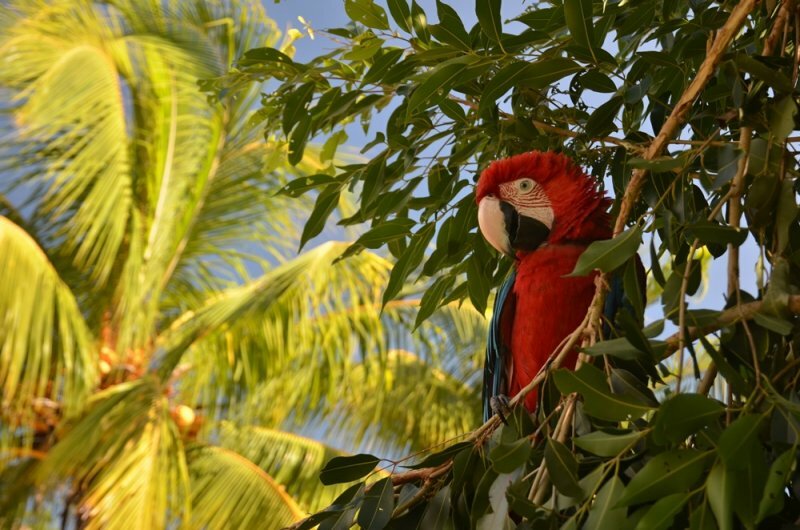 Personal spending: usually for food in restaurants, drinks, fruits and souvenirs it starts as from 100 €. 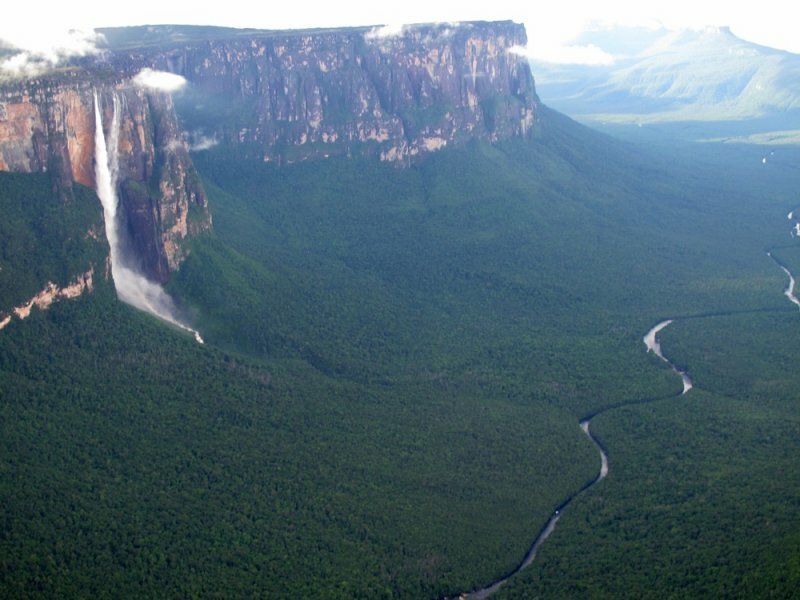 1st day – arrival to Venezuela in The Caribbean. 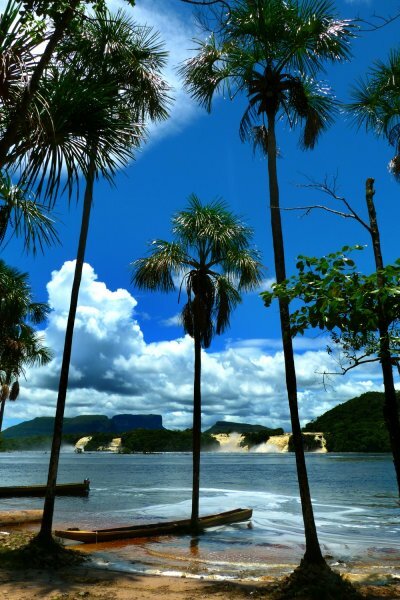 Traveling 11 kilometers to the hotel at the beach, money exchange and common dinner. 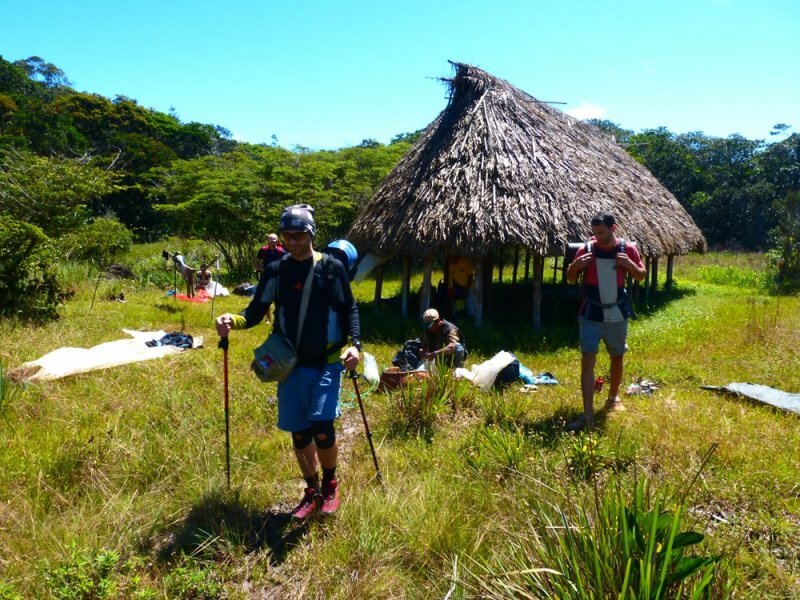 2nd day – acclimatization, shopping, 3 hours relaxing on the beach, preparation for traveling. 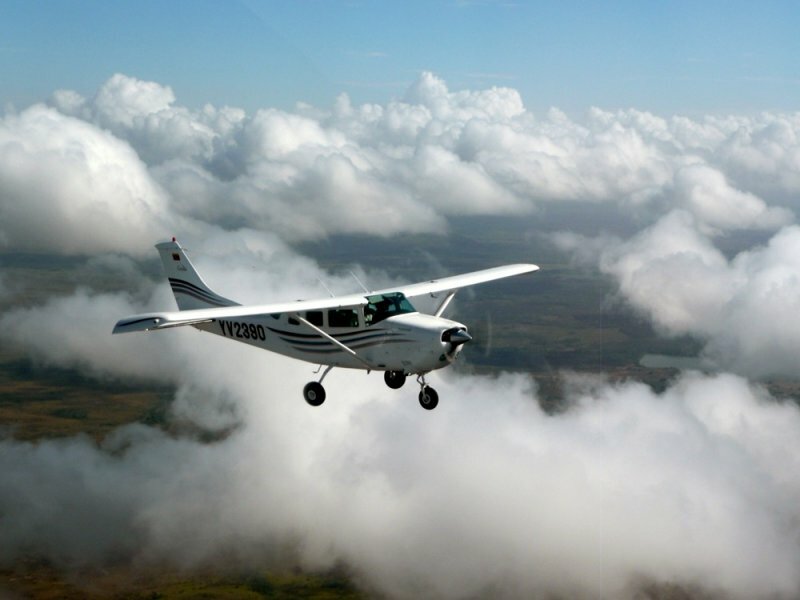 Flight at noon to the Eastern part of the country. 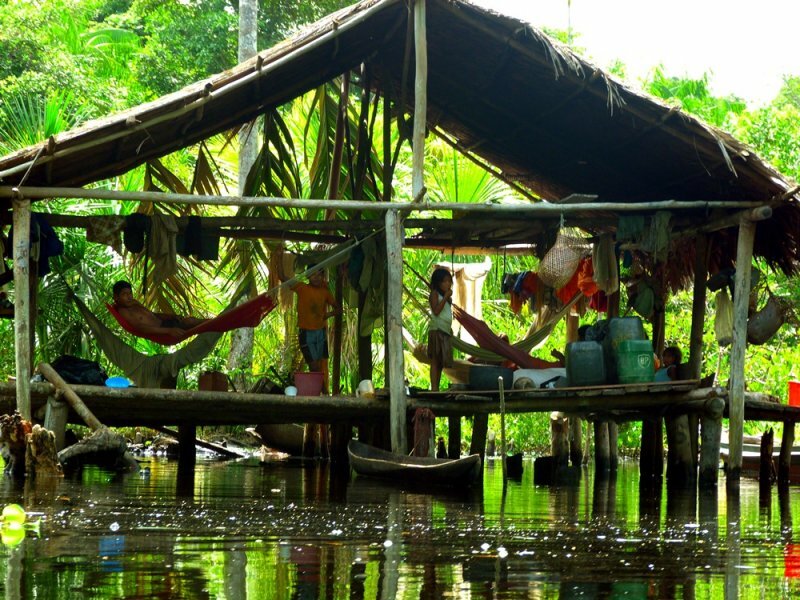 Traveling from Puerto Ordaz to Ciudad Bolivar and one night accommodation in a hostel. 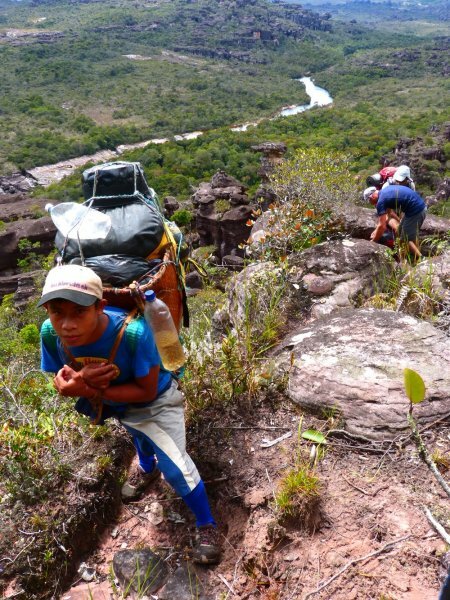 3rd day – preparation of trekking and climbing equipment, preparation of food stocks and transport of all the bags to the airport. 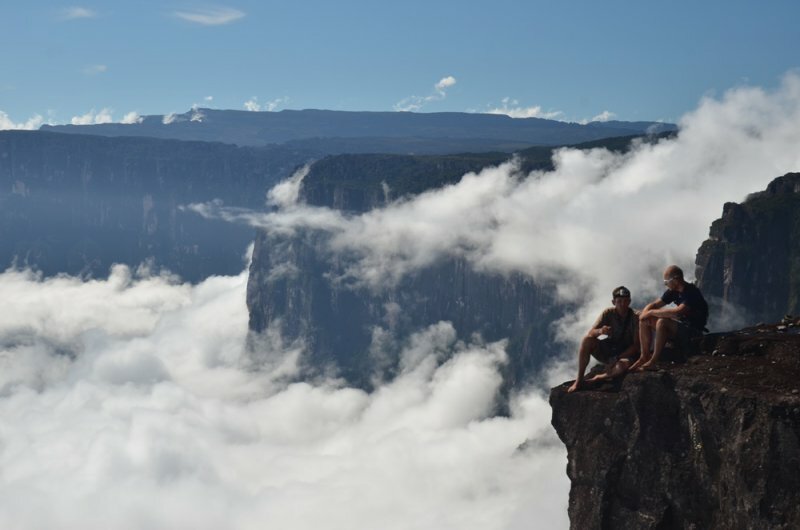 This will be for a long time the last day in civilization. 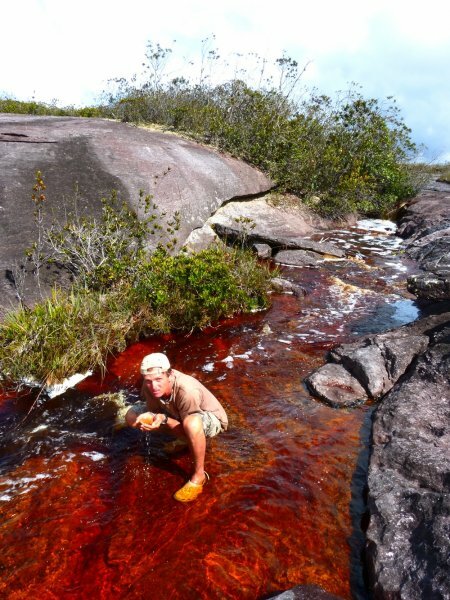 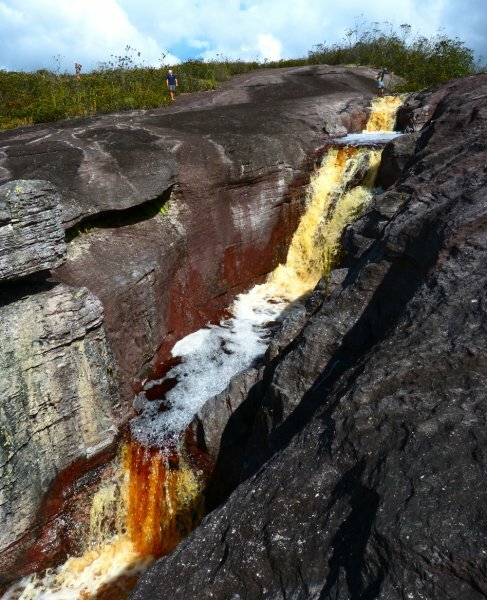 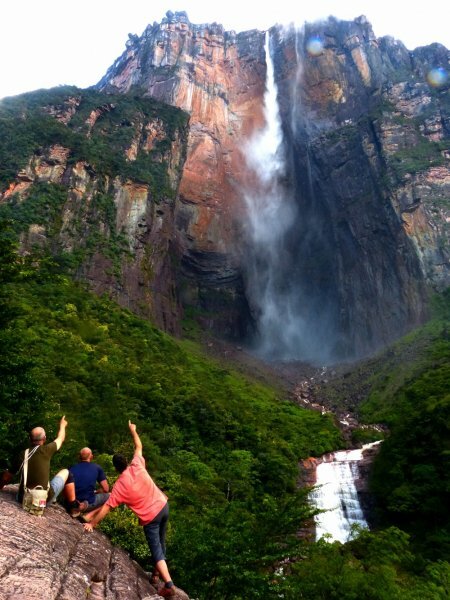 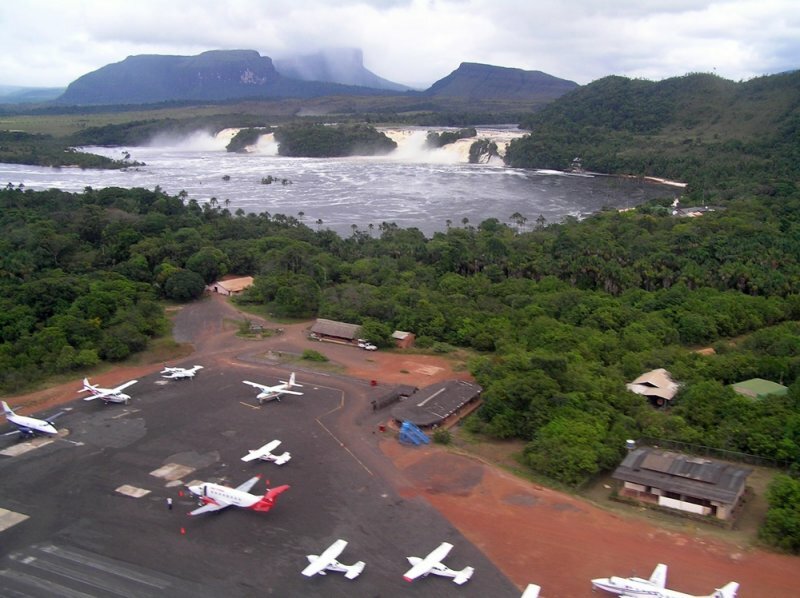 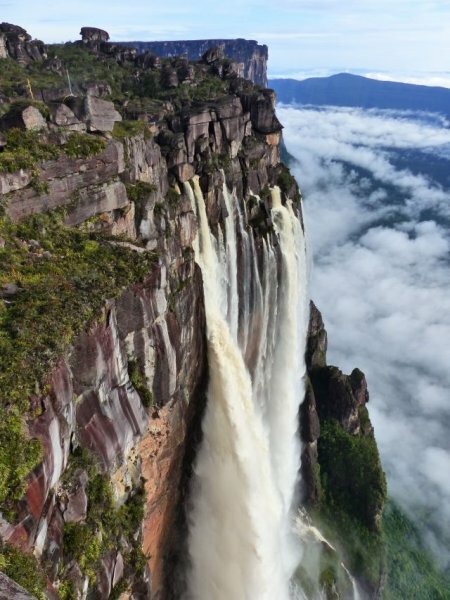 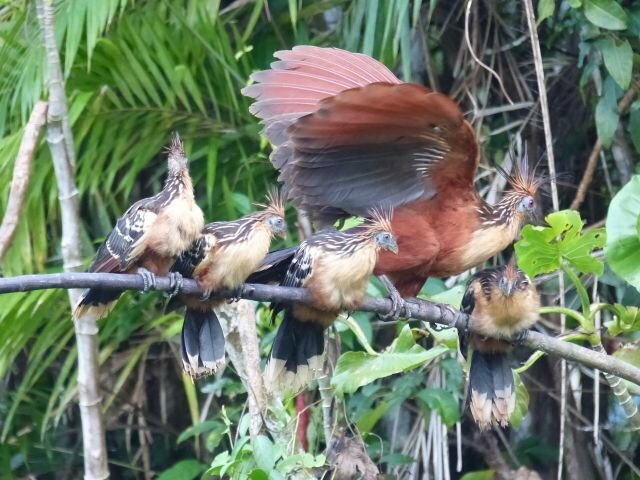 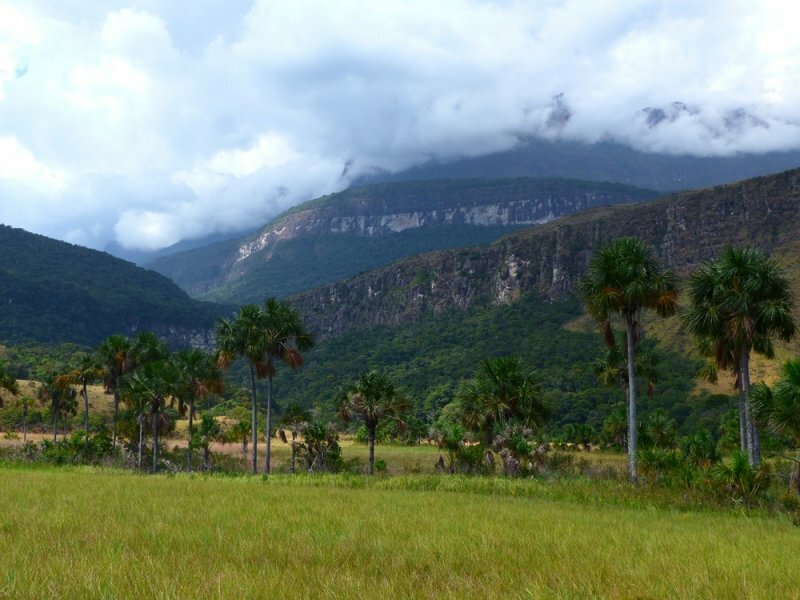 4th day – flight to Canaima National Park and arrival to Uruyen village. 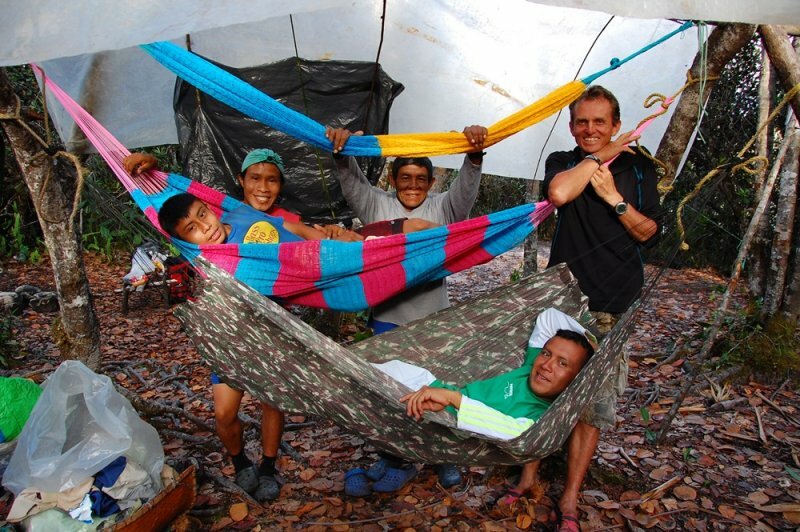 Meeting with the porters and beginning of the journey – 5 hours up to the first camp Guyaraca in a primeval forest along small river. 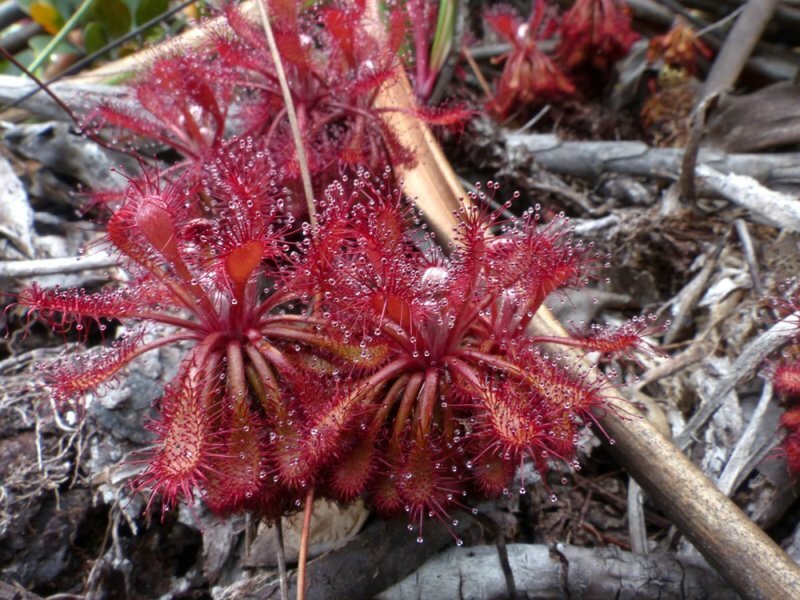 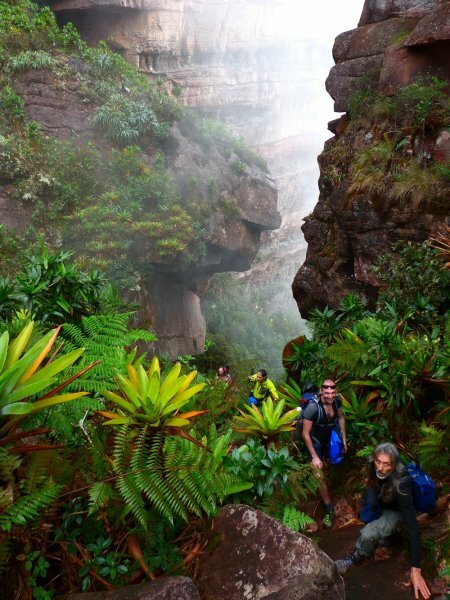 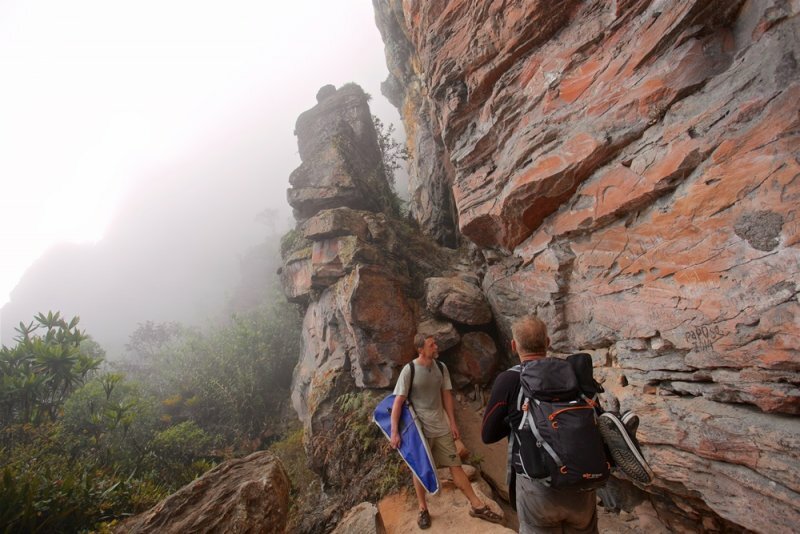 5th up to 10th day – climbing up to the top of the Table Mountain – primeval forest, outback, canyons. 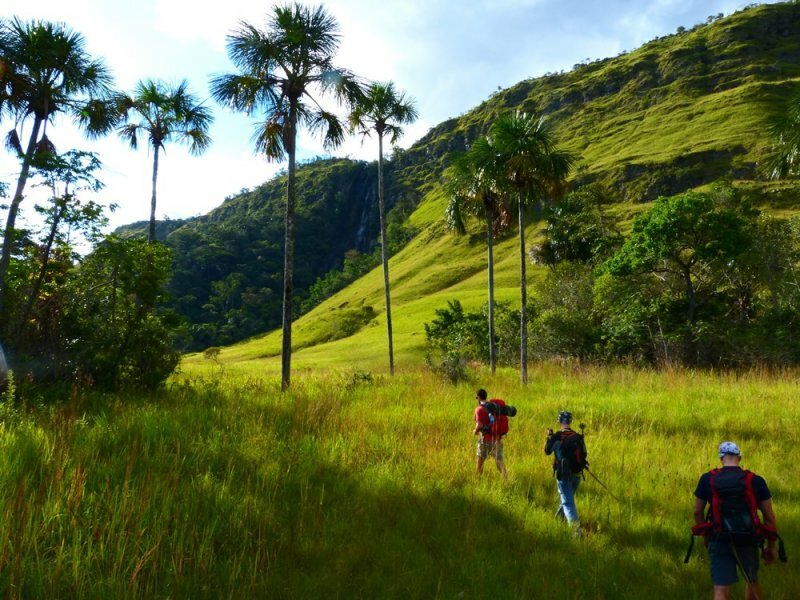 Approximately 5 – 7 hours of walking per day. 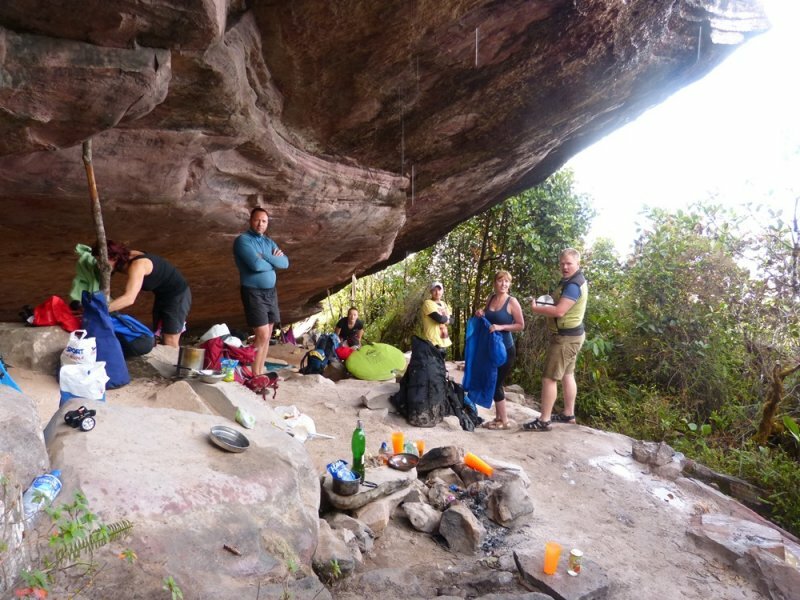 Cooked food is provided in the mornings and evenings; lunch is packed. 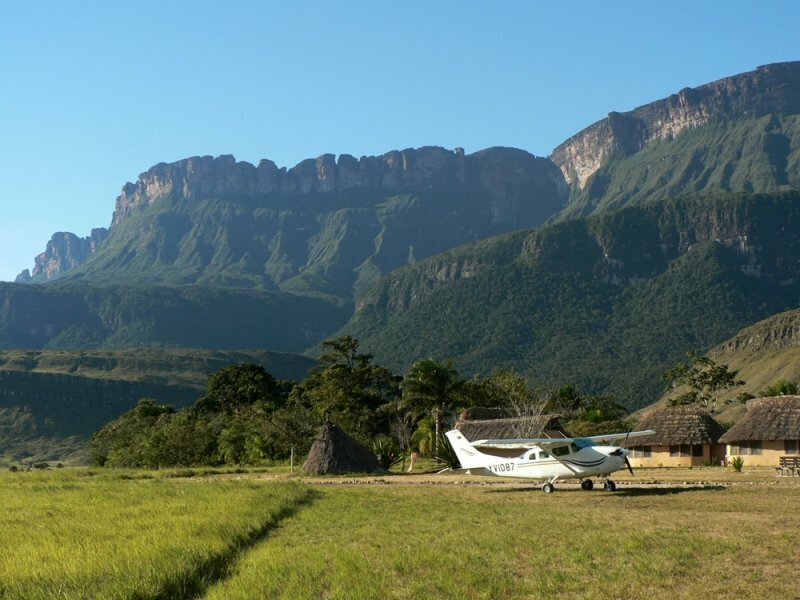 Each camp is at some water source which provides drinking water and basic hygiene. 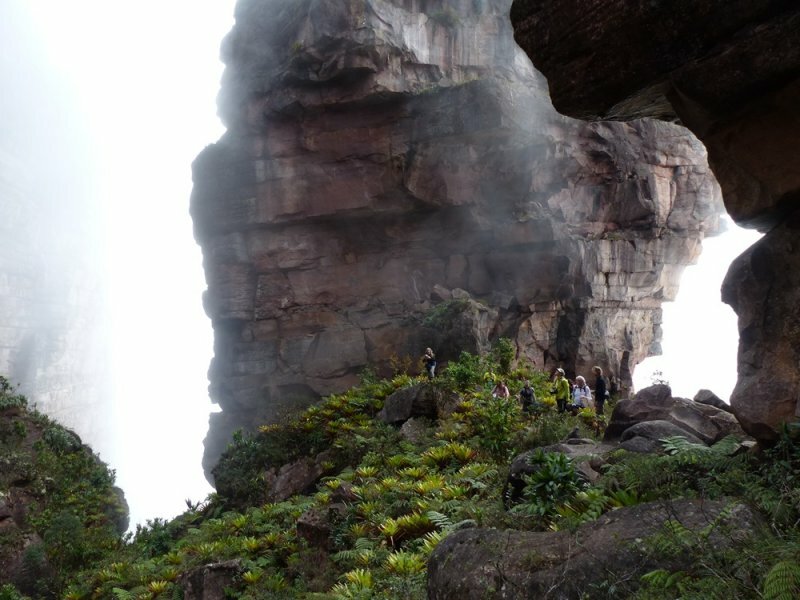 The journey is full of amazing views on Guayan Highlands. 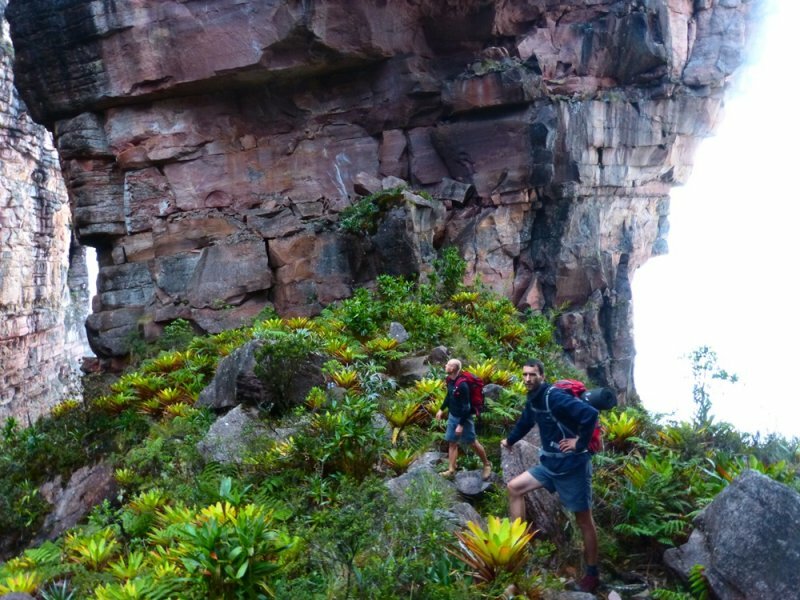 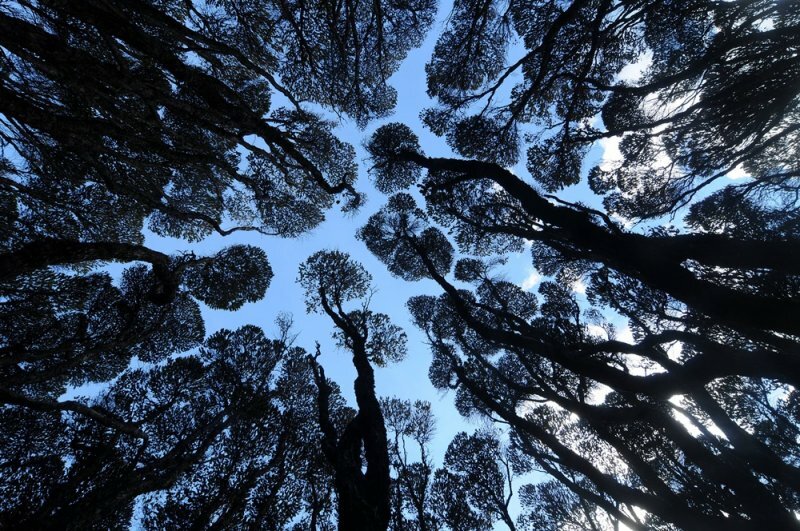 The walk on the top of the Table Mountain is tremendous with its gorges, rock sculptures, purple torrents, islands of endemic vegetation and swamps. 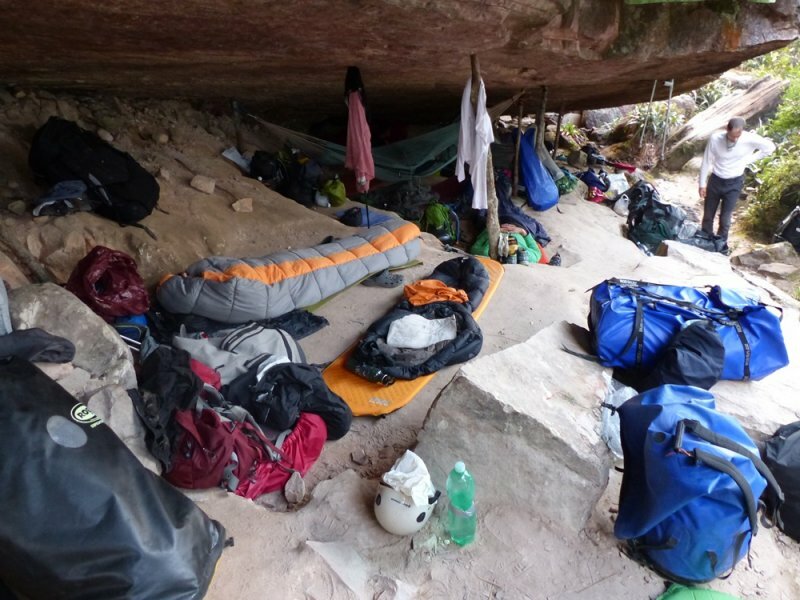 Overnight camping is usually done under rock cliffs. 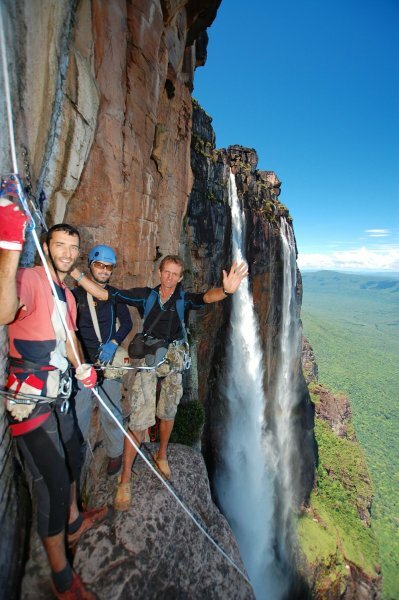 Last day’s camp will provide magnificent view on the waterfall from its edge and we will say bye to our porters. 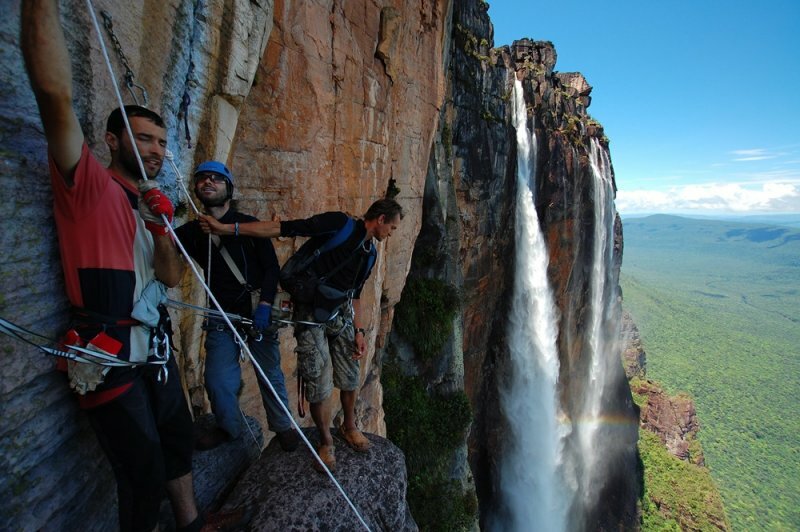 11th up to 13th day – climbing down the rope will be done from the left side of the water fall on a pillar approximately 100 meters far. 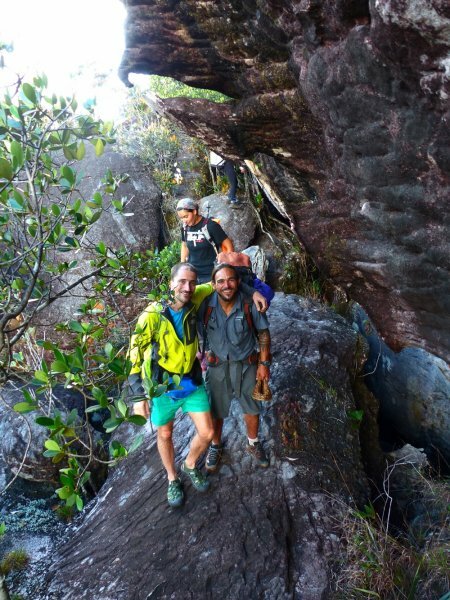 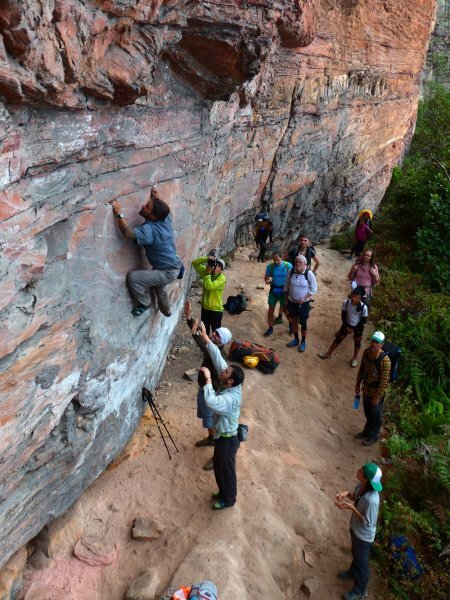 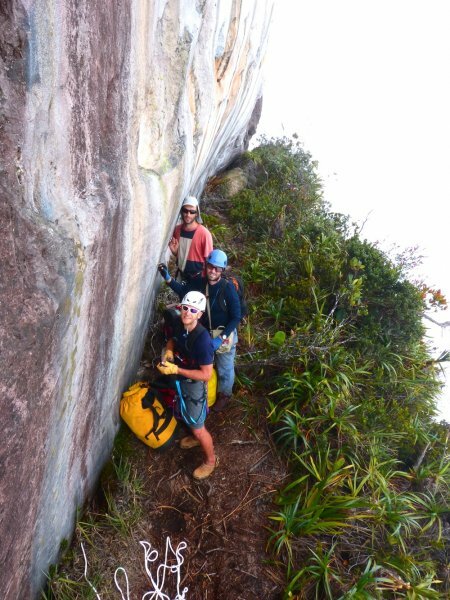 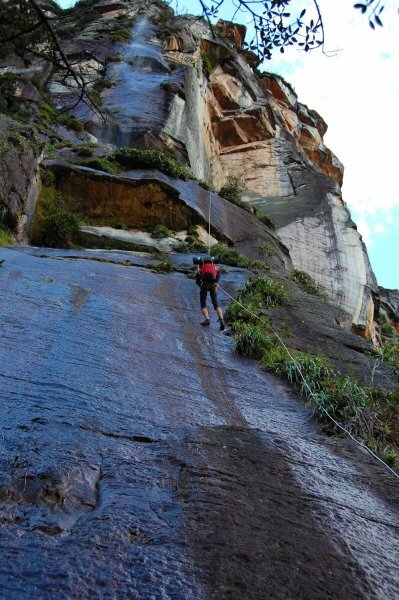 Client does not need to be a professional climber – all the assistance will be provided by the guide Peter. 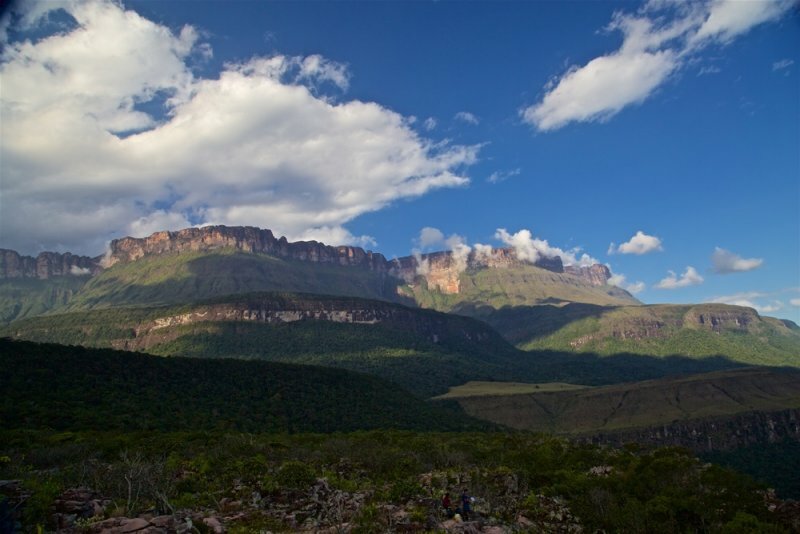 The track is well secured by all modern equipment as there is also local Venezuelan travel agency using it several times per year. 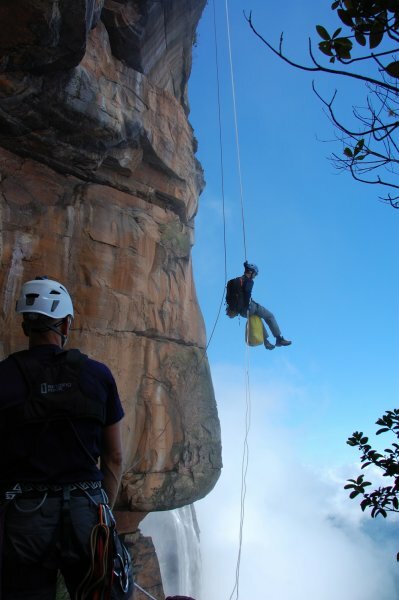 On the way down it is not just hanging on the rope but also using of forest paths as the wall of the Table Mountain has many layers and especially the bottom ones have some forests. 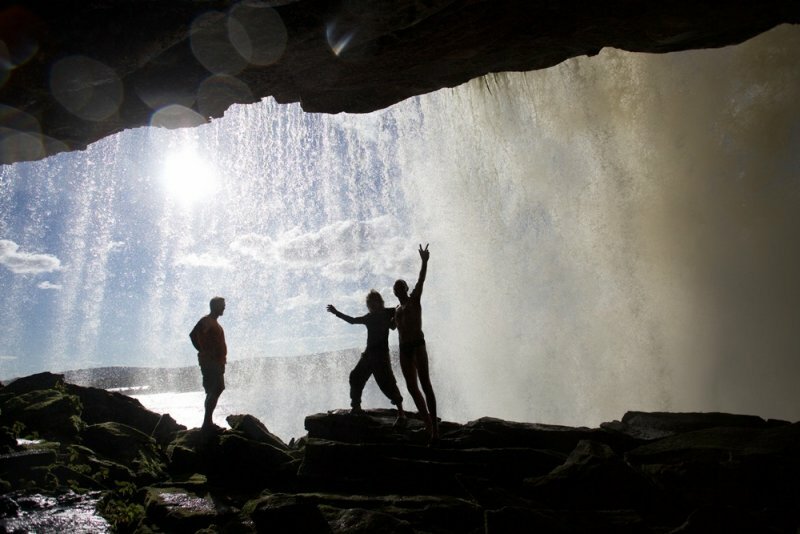 Two nights will be spent in coulisse of the water fall with splendid view into the canyon. 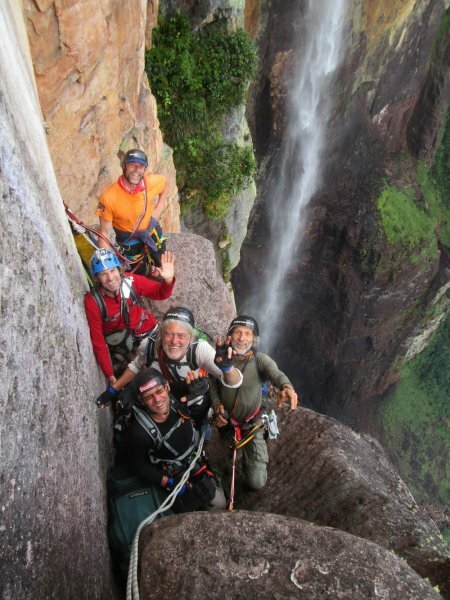 Local Indian crew will expect us at the bottom of the waterfall and we will have a big dinner together. 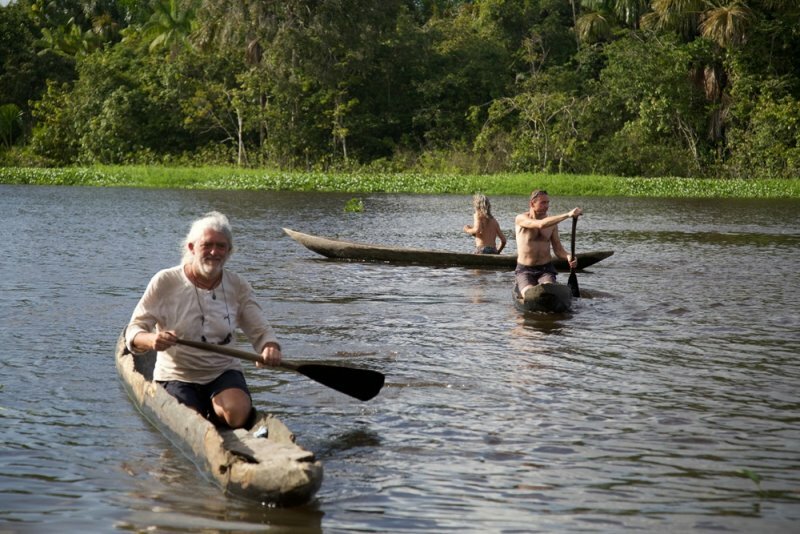 14th up to 15th day – floating the river Churun with local Indians on their small motor boat. 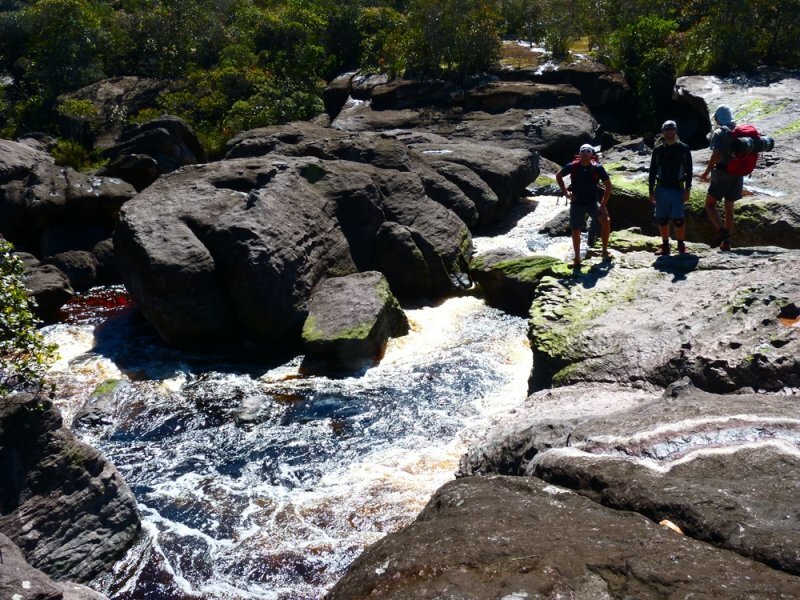 Later we will connect to Carao river and the whole time we will be surrounded by gigantic rock massifs and tropical forests. 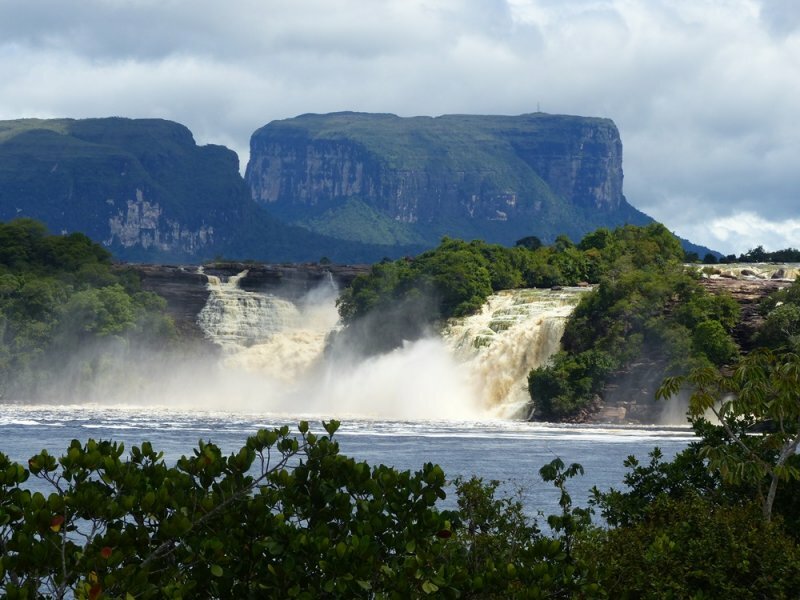 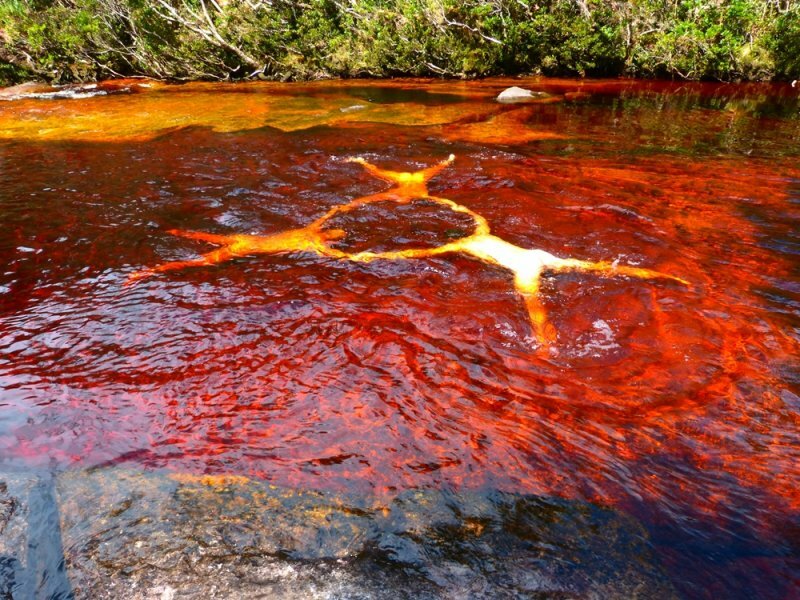 In the afternoon, we shall reach touristic town Canaima. 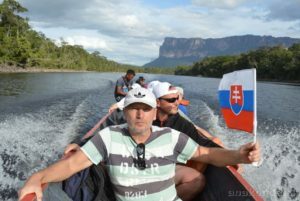 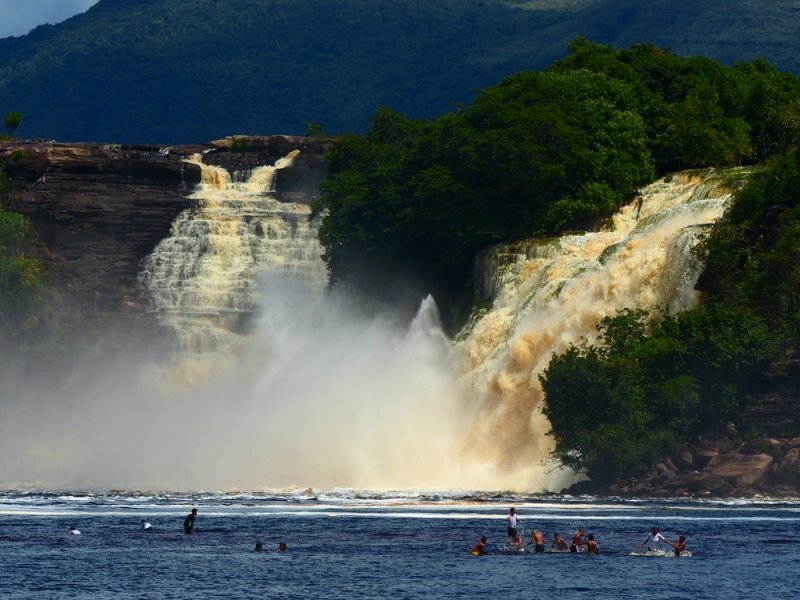 Here we will go for a short trip to 7 waterfalls of Canaima lagoon. 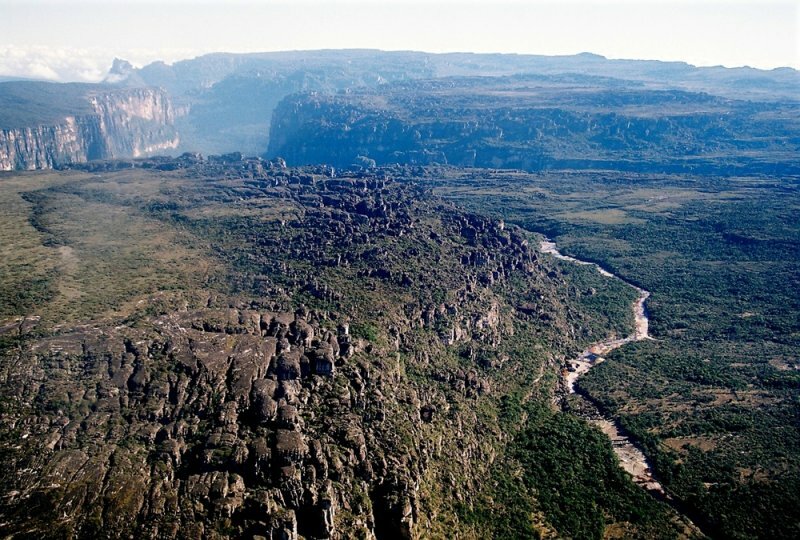 In the evening, we will travel to Tucupita town (300 kilometers) and enjoy real bed in a hostel. 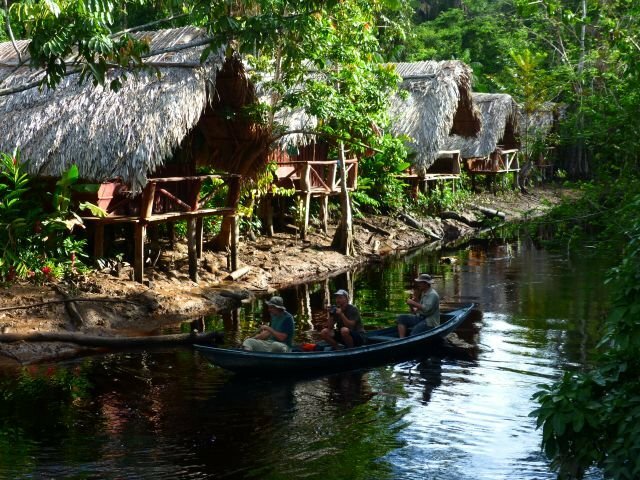 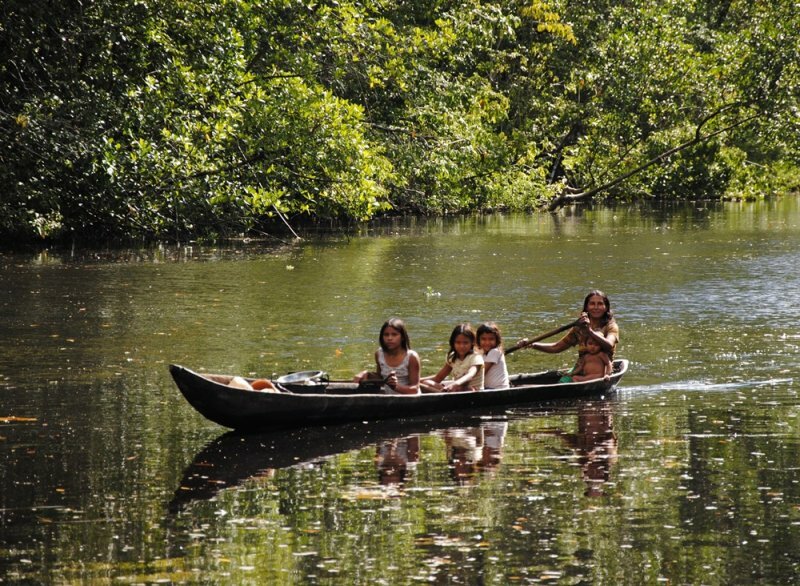 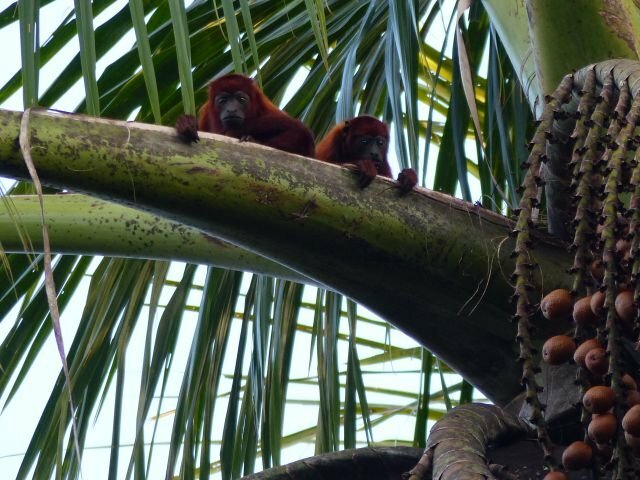 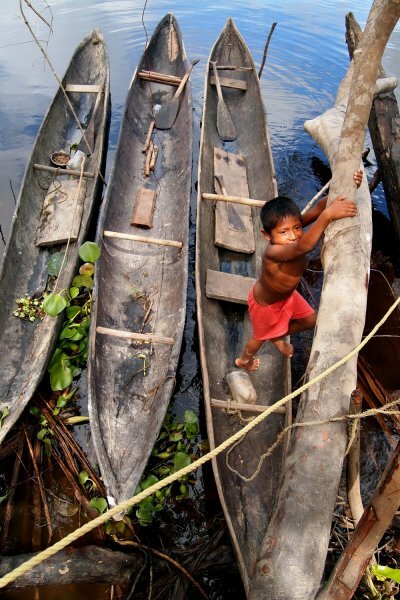 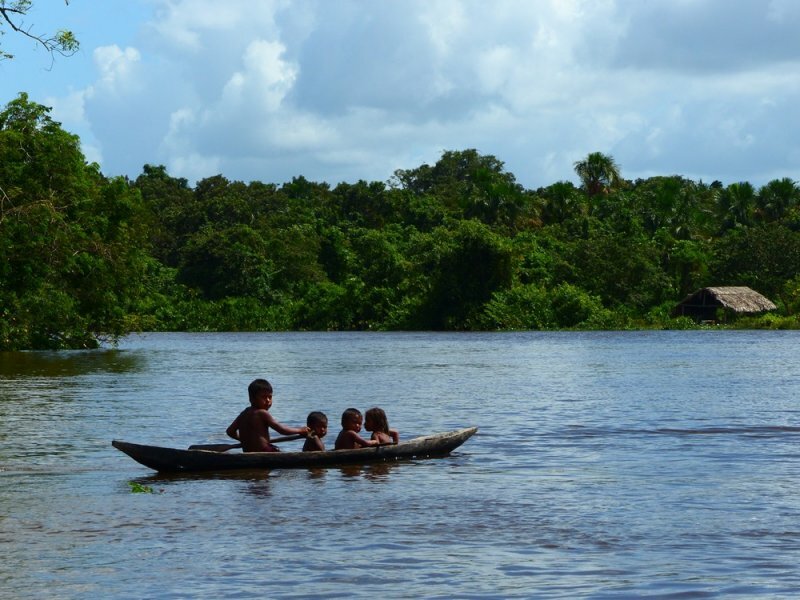 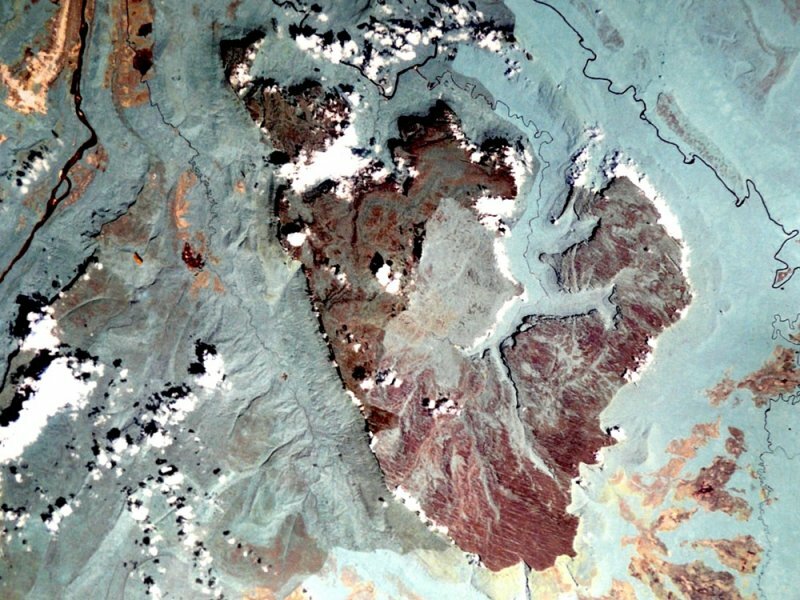 16th up to 18th day – flight to Delta Orinoco where we will relax and admire the river and swamp forests as well as local Indians whose life did not change much in the time. 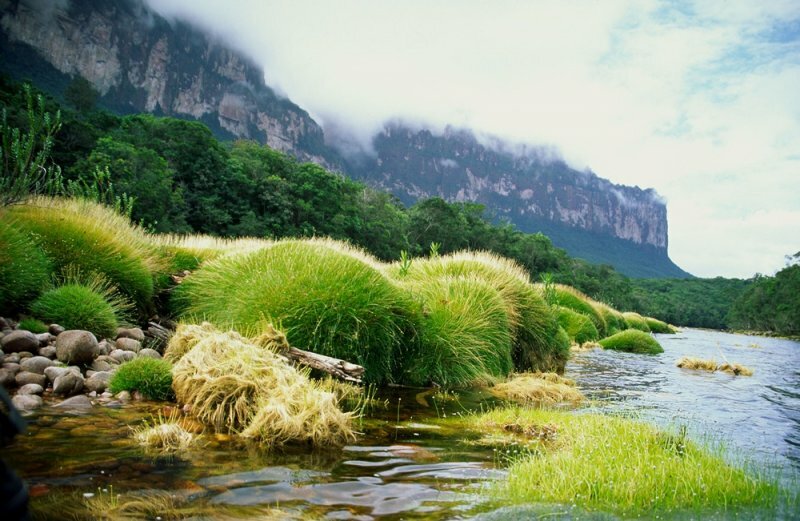 We will enjoy nice camp and observe animals. 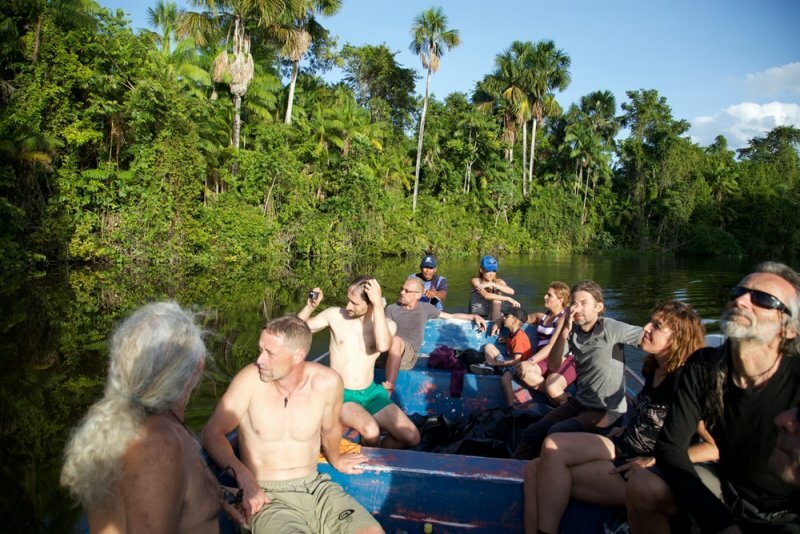 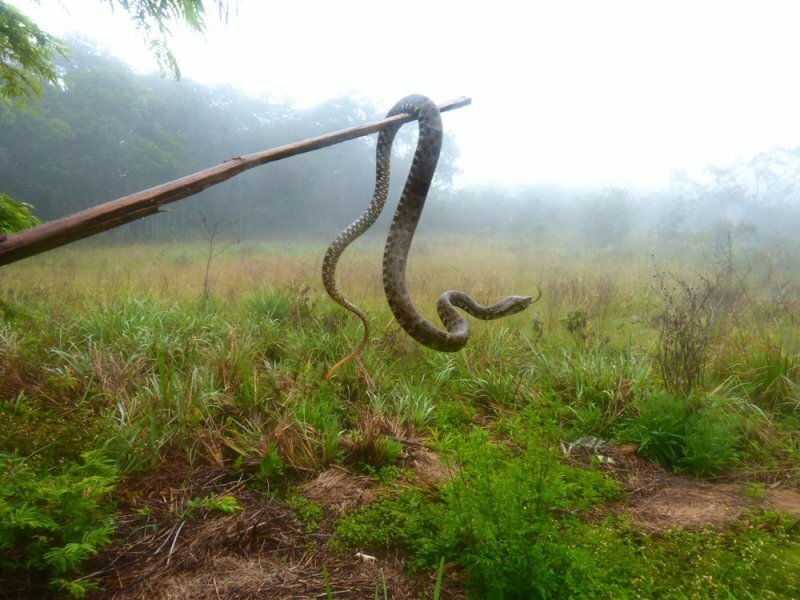 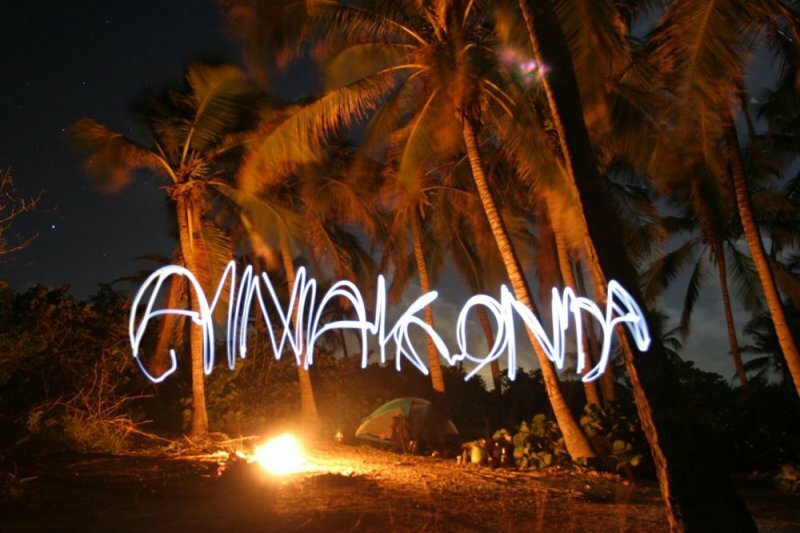 We will try how to float Indian canoe, how to make fire without matches, night trip on the river, search for snakes and morning concert of the howler monkeys. 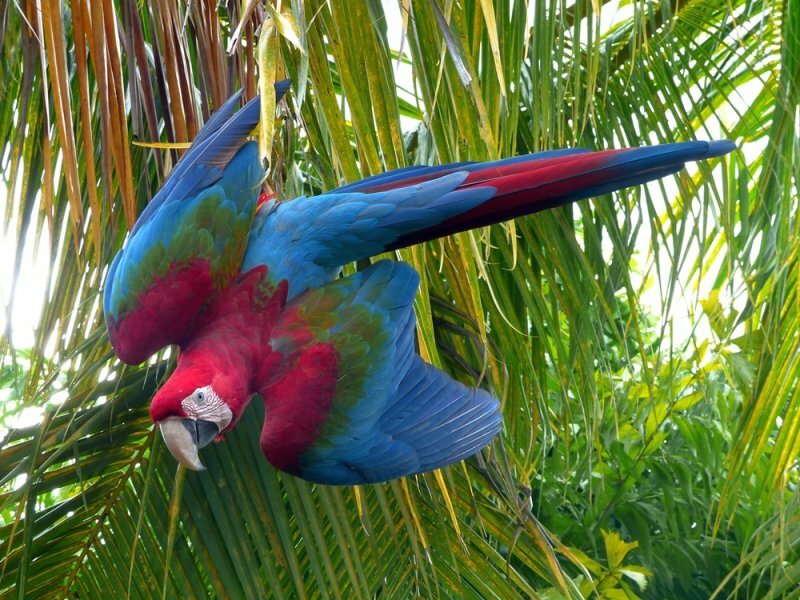 19th day – morning flight to Caracas and tour around its modern and colonial districts. 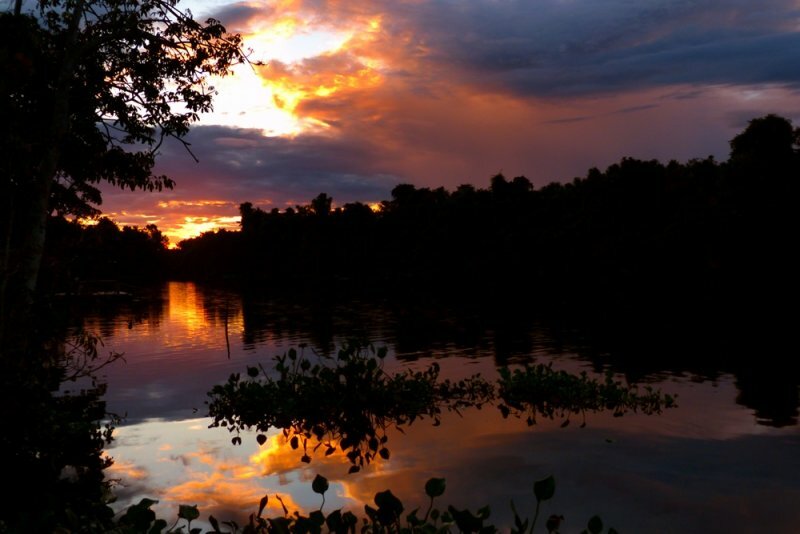 In the evening, we will fly back home. 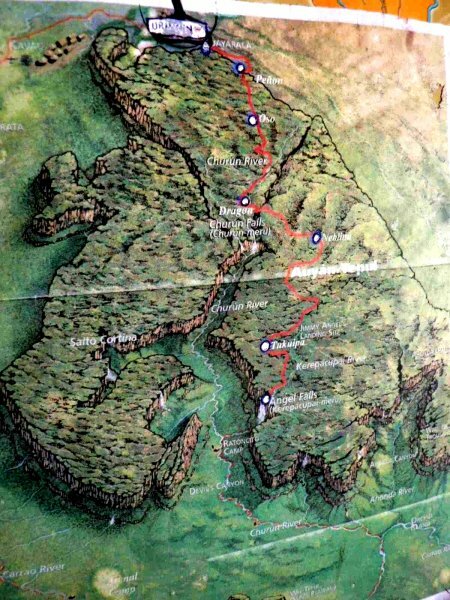 20th day – arrival home (e.g. 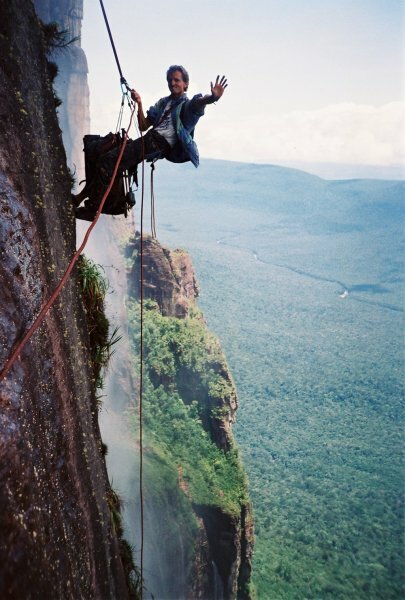 Europe).